Dining in Disneyland and dining in California Adventure can be fun on so many levels. But, did you know there are even more opportunities for you to indulge? Let’s look at a few options that include a special meal and then reserved viewing at two very popular shows. Before we get started, let me make an important note: Disneyland and California Adventure shows are outdoors. While it’s rare for World of Color and Disneyland parades to be cancelled all together, fireworks are cancelled quite frequently due to high winds. Because of this, I recommend committing your Disneyland parade reservation to early on in your visit. Although the fireworks are not technically part of the package, coordinating your strategy in the reserved viewing area for the fireworks is certainly a bonus and part of what I think makes these options a great value. If the fireworks are cancelled the night of your reservation, that’s unfortunate. But, you can try again on another night during your visit and you already have the parade crossed off your list. ****Reservations can be made online or by calling (714) 781-SHOW (7469). 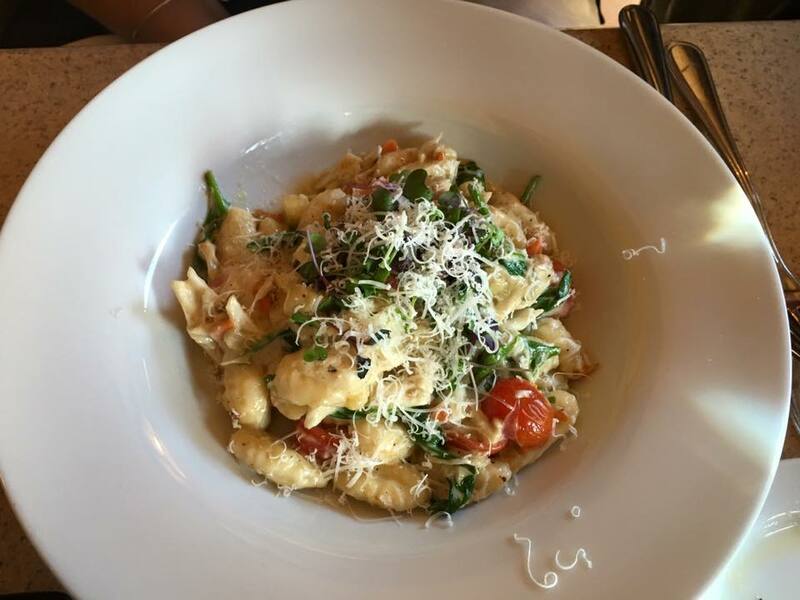 Wine Country Trattoria – This location boasts a Napa Valley or Tuscan feel to it with matching culinary options and wine selections offered at an additional price. Pricing includes $49 for adults and $25 for children ages 3 to 9 (for lunch). Dinner pricing includes $49 for adults and $25for children ages 3 to 9. Carthay Circle Restaurant – Seafood, meat and vegetarian options are most popular here, as is the ambiance of old Hollywood glamour. Pricing includes $56 for adults and $25 for children ages 3 to 9 (for lunch). Dinner pricing includes $74 for adults and $25 for children ages 3 to 9. ***I have done all three of these dining experiences. Check out the photos and notes below on each. 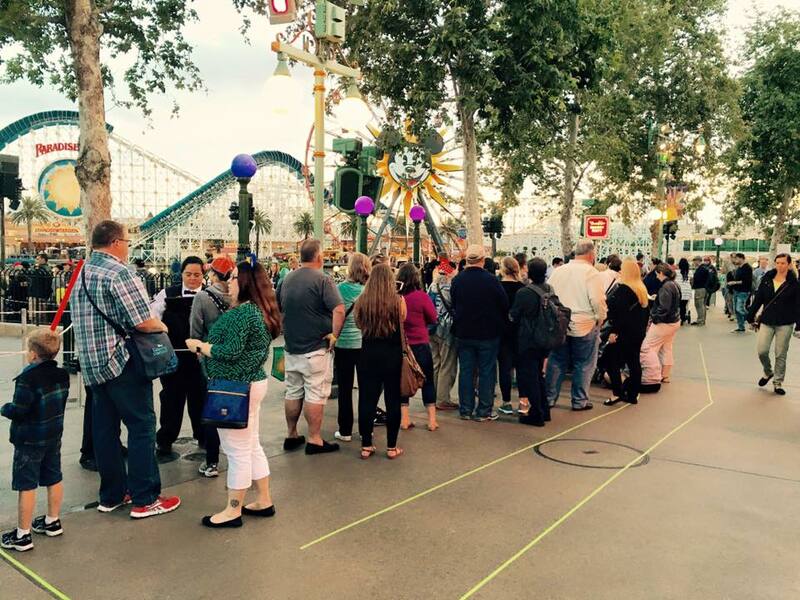 Reserved World of Color viewing areas (still standing room only). After payment of your meal, your server will give you your Dining Package Seating Voucher and will direct you where you’ll sit and when to arrive. Phone reservations for dining packages may be made 60 days in advance 7:00 AM to 9:00 PM daily (Pacific Time). 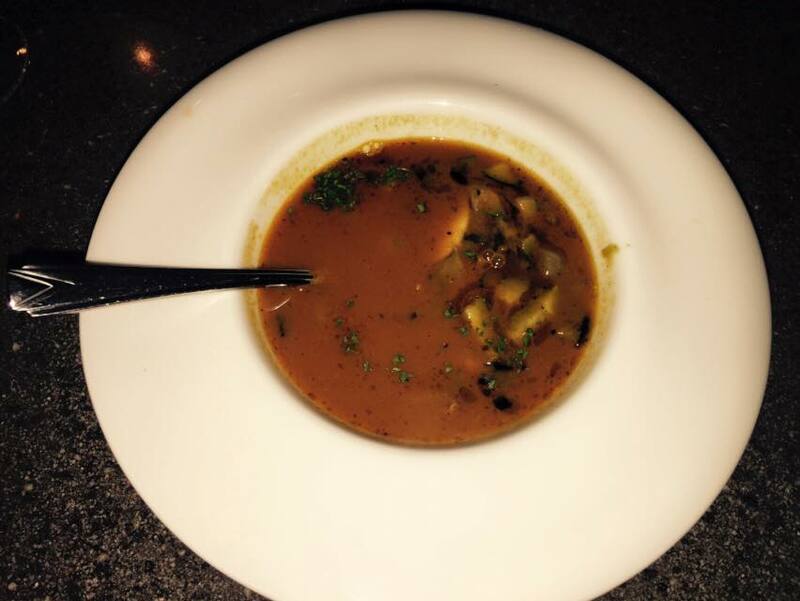 Please call (714) 781-DINE (3463). 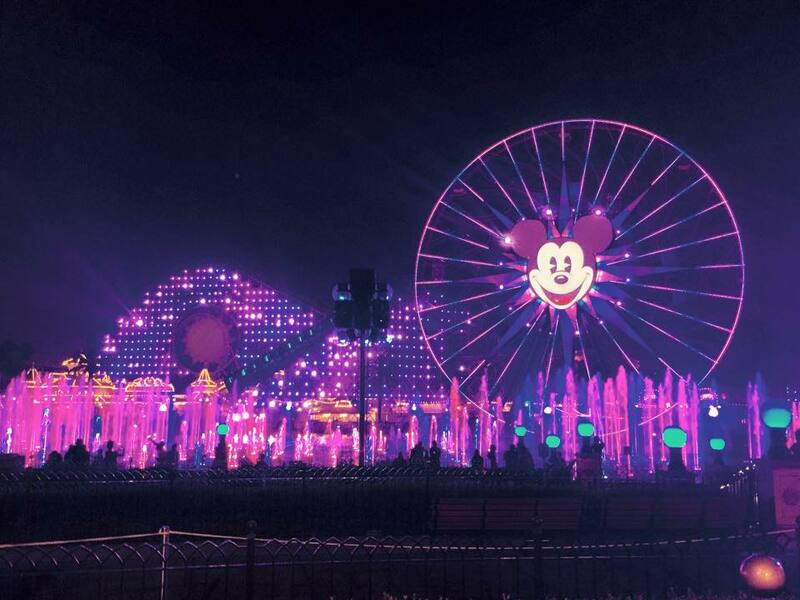 If weather prevents the World of Color show, no refunds are given. Check out this page for more details such as cancellation policies and more. For Wine Country Trattoria, lunch is always assigned to the earlier show. For dinner, be sure to schedule between 4:00pm and 6:30pm for the earlier show. Anything after will be assigned to the later show. 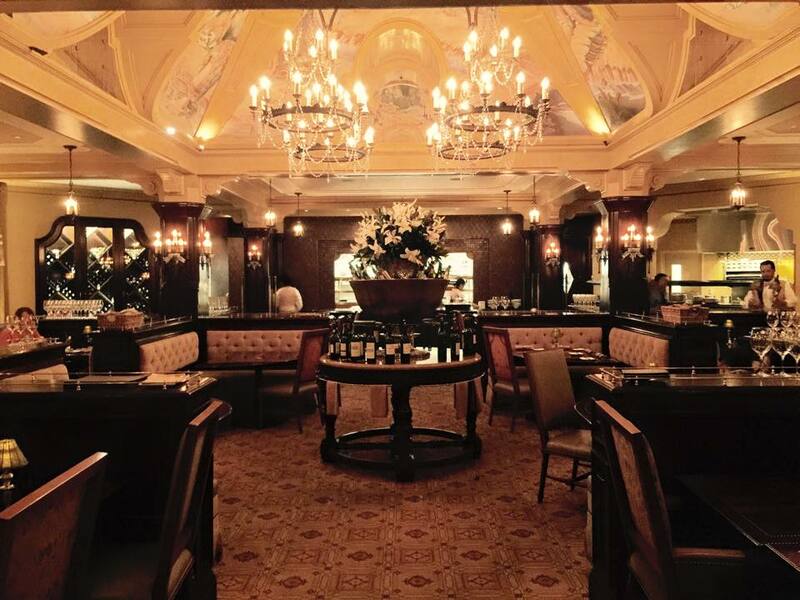 For Carthay Circle, you can choose which show if you dine during lunch. For dinner, be sure to schedule between 4:00pm and 6:30pm for the earlier show. Anything after will be assigned to the later show. Also, note: The Carthay Circle dining experience should be allotted at least 1.5 hours to fully appreciate the experience. ***There may be some variation on this, so call Disney Dining to confirm or if you have any questions. ***This menu can change seasonally. We sat outside on the patio – per special request – and it was lovely. If you want patio seating, make this clear in your online reservation. Then, swing by the restaurant during the day sometime so that they know to seat you there, too. There are lovely options inside, too. The restaurant is first class. Seriously. The bathrooms are nicer than my house. We both started with the Spanish Roasted Tomato Broth accented with Chorizo. I had the Grilled Angus New York. It was heavenly. 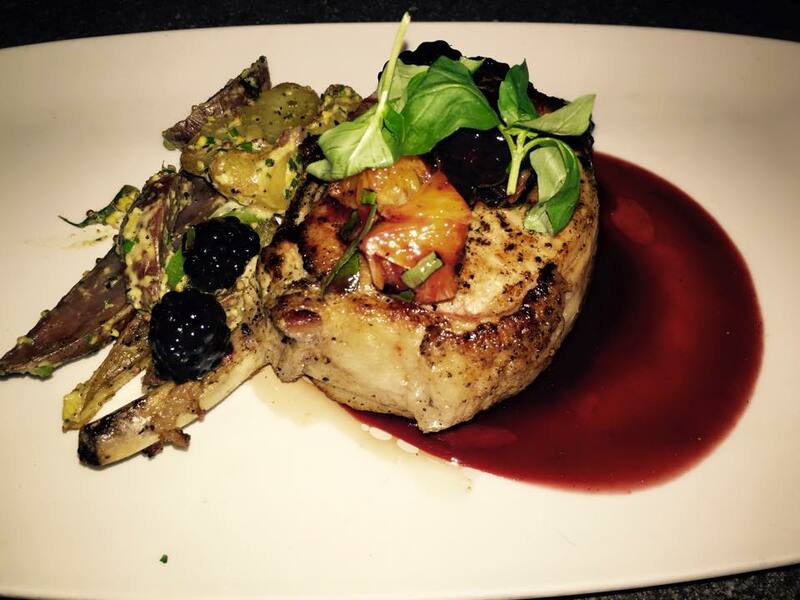 My date had the Thick Cut Pork Chop. He loved it. We each chose a different dessert so we could sample them both. Tahitian Vanilla Bean Creme Brulee Tart. The meal was divine. And, then the real fun started. 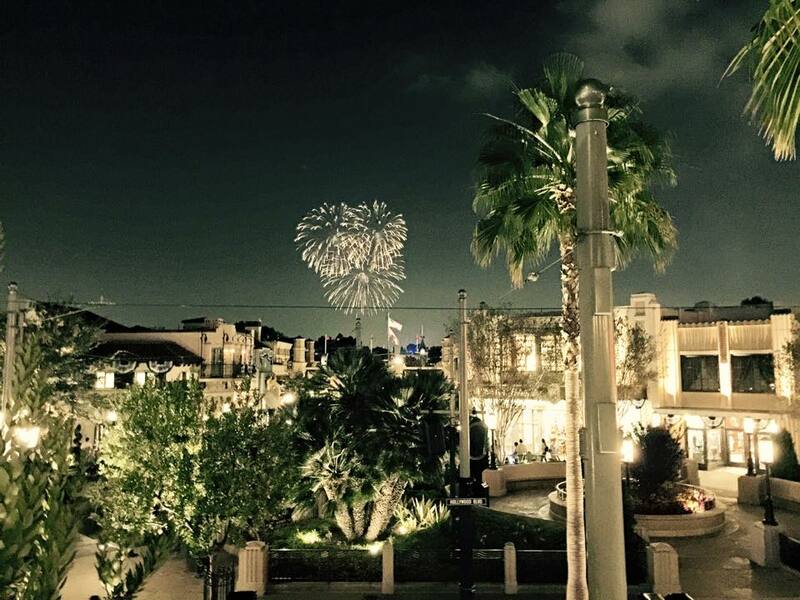 From the balcony, you can sometimes watch the Disneyland fireworks show. Carthay Circle Restaurant plays the music that accompanies the shows. Again, in order to make this arrangement, I suggest looking at the entertainment schedule and confirming that your timing will work. Our dinner reservation was at 8:00pm. A dining experience here lasts around 1.5 hours, so we were just about finished when the 9:30pm fireworks began. All the diners on the patio stood up to watch the show. It was awesome. Then, we hustled over to get in place for the 10:15pm World of Color show. Throughout the year, the number of shows each night, as well as the timing, will change.So, be sure to call in or be super confident about the entertainment schedule if you’re planning on merging your dining with the fireworks. We were escorted down this path. Felt a little like the red carpet since we were headed to such a premier viewing area. 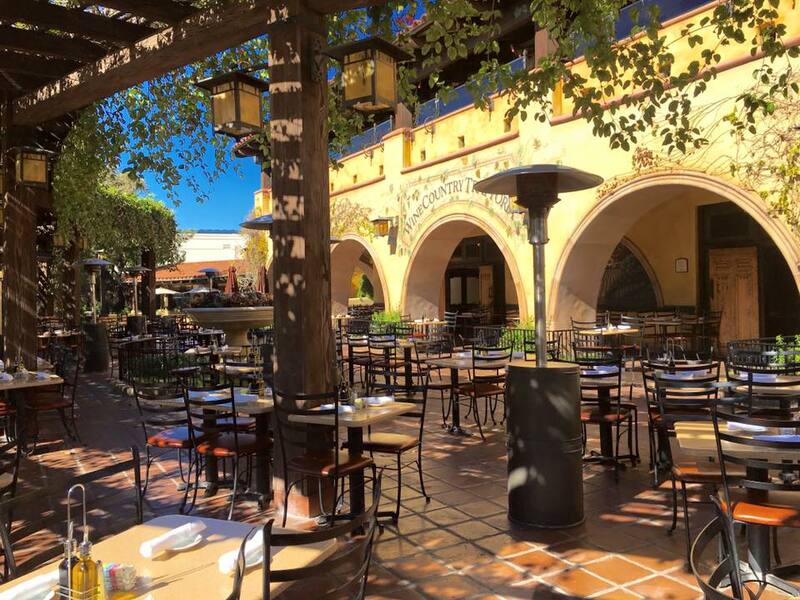 Enter here to find your reserved viewing spot for Wine Country Trattoria. We chose right by the water. This is a ‘wet’ zone, but we barely felt the mist. And, we got front row! The dining area is outdoors. It’s lovely. 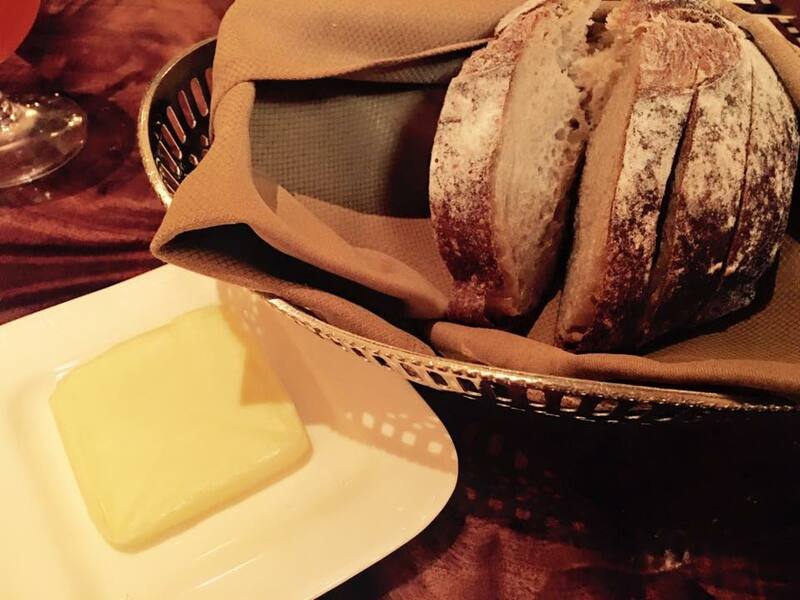 Bread for the table and salad to start. I believe this was a Tuscan Vegetable Soup. I had the potato gnocchi. It was divine. 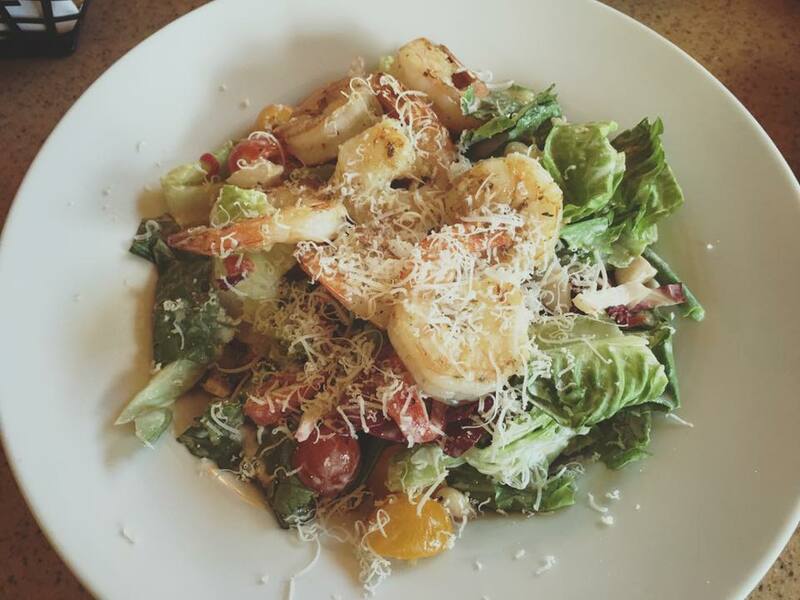 My friend had the Tuscan salad with sauteed shrimp. 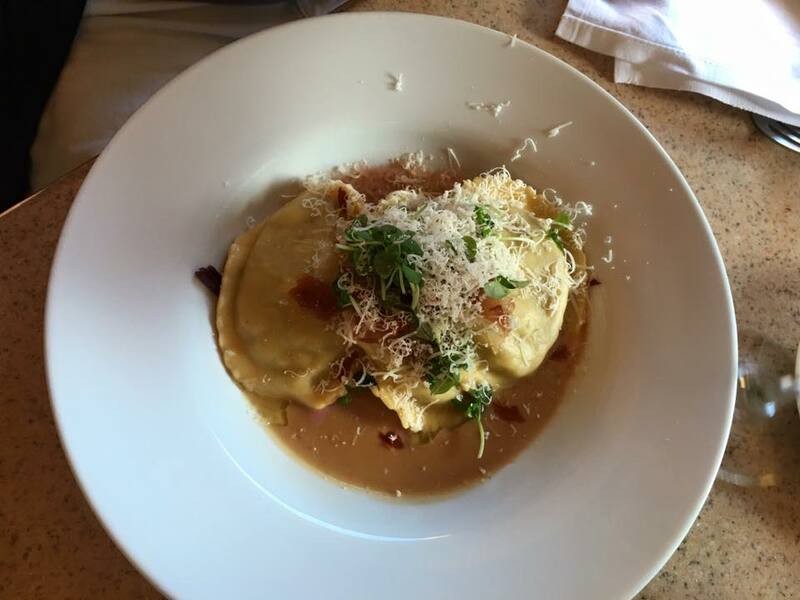 And, another friend had the braised beef ravioli. I loved every one of these dishes. This is the ticket you will receive after your meal. ****I didn’t note the viewing area or entry because it’s the exact same as can be seen above for Ariel’s Grotto. 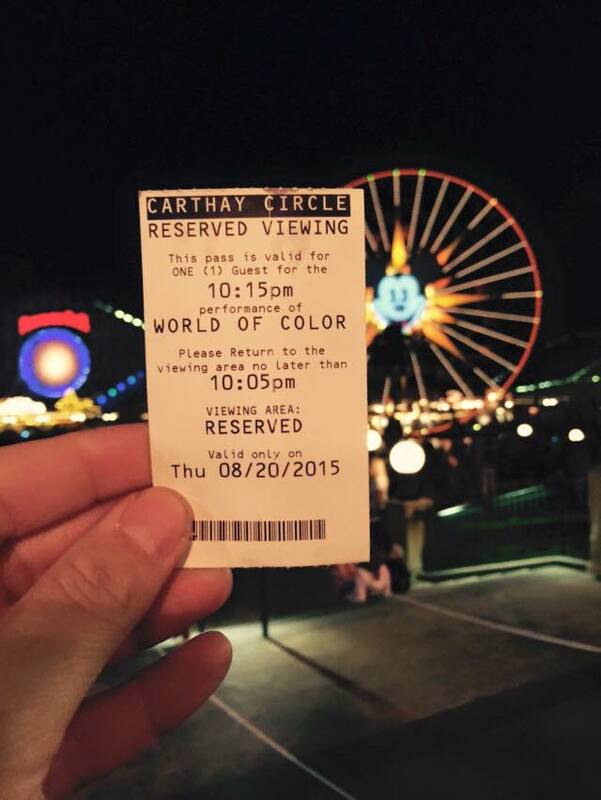 They share a reserved viewing area for World of Color. Scroll up to see those photos. 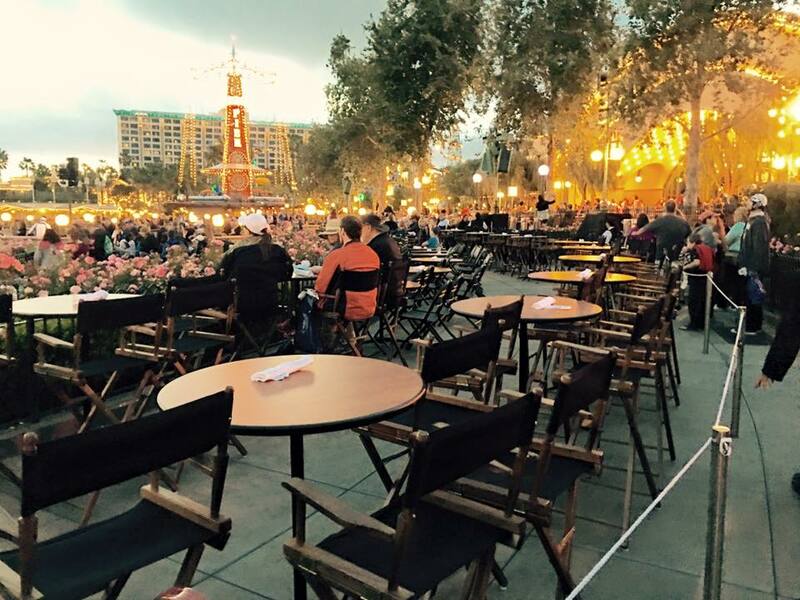 The WOC Dessert Party is unlike any of the dining packages because it provides actual seating. 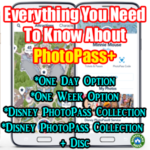 It costs $79 per person, adult or child, and Annual Passholder discounts do not apply. This is also the only dining experience that must be pre-paid in full. This is also technically a “shared seating” event, however, most tables are set up in 2s or 4s, so I doubt sharing will be much of an issue. An hour prior to showtime, find the sign in the photo, below, across from Ariel’s Undersea Adventure on Paradise Pier. The tables to choose from can be seen in the photo, below. I recommend the bar level, but kids may do better at the standard size since those tables include regular metal chairs instead of director’s barstools. You’ll see the show fine from either option. Here is your view and here is where I was sold on this package. Sitting after a long day was lovely, too. 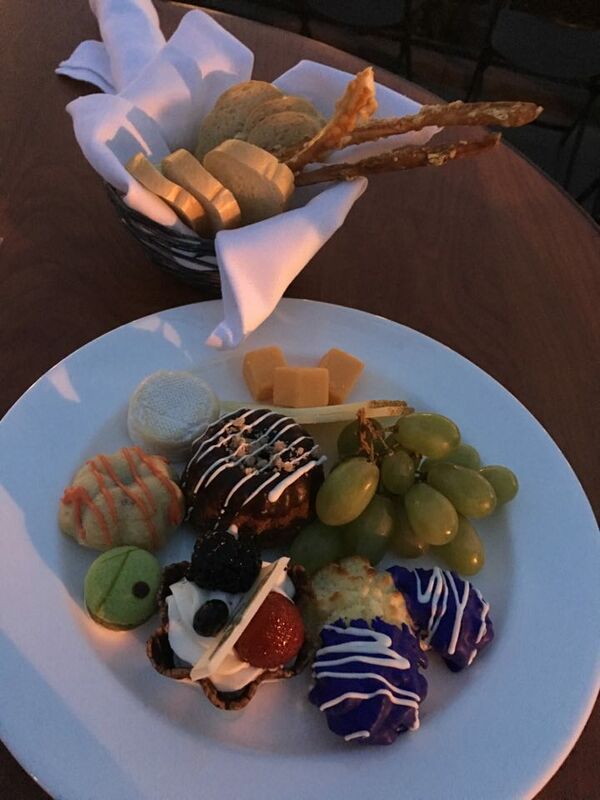 Each table is brought a bread basket to share and then everyone gets his or her own dessert plate. And, it’s plentiful! You’ll receive up to 2 drinks – with a few choices with and without alcohol. These drinks need to be enjoyed or at least ordered prior to showtime. 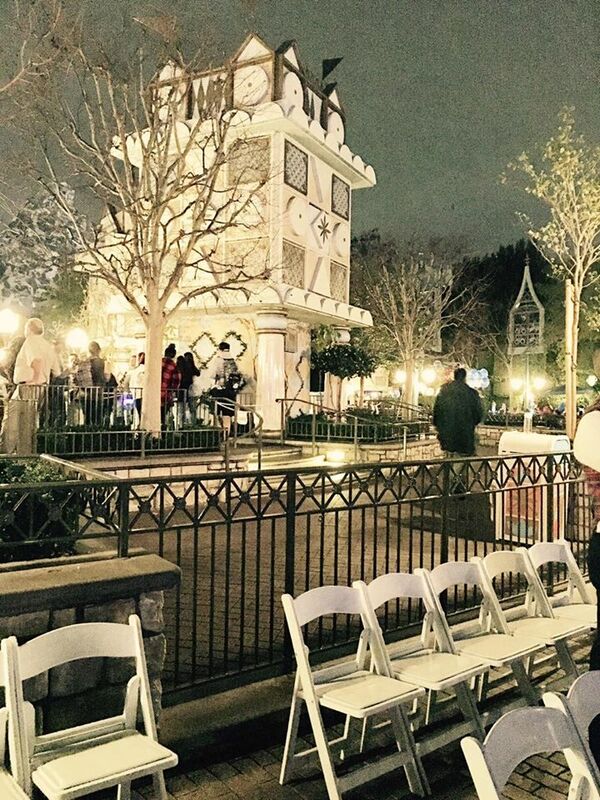 Once the show starts, the cast members are sparse so that they’re not blocking the view. They seemed very flexible, too, on what you ordered. I ordered 2 glasses of champagne and then got hot chocolate, too. And, here is the show. I enjoyed this way more than I thought I would. It’s pricey, but a nice indulgence. ****This parade is no longer running. 🙁 Will remove from this post ASAP. The Main Street Electrical Dining Packages include two entirely different experiences. Both have advantages and two very different price tags. Check them out. Go here to book for Blue Bayou. 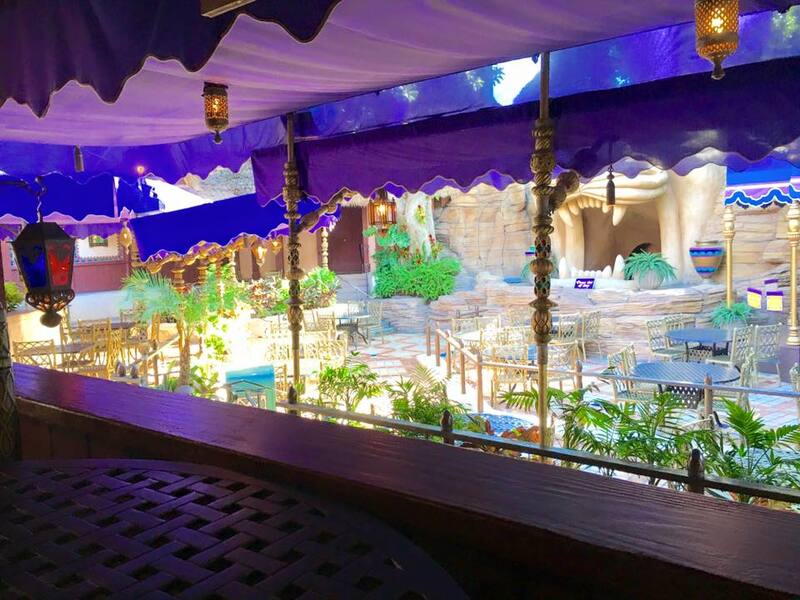 Go here to book for Aladdin’s Oasis. 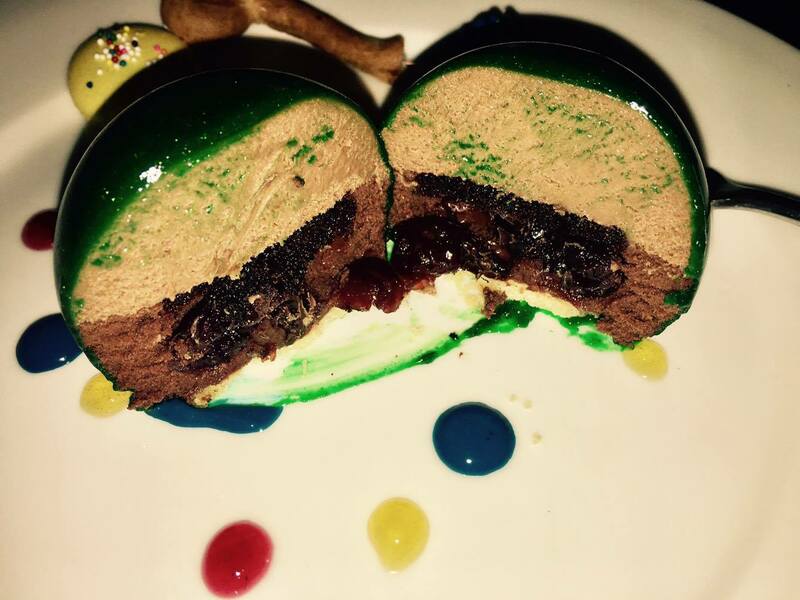 You may not reserve these on the Disneyland app, as you can with most dining reservations. You must go online or call in. When looking for this reservation online, don’t look under “A” for Aladdin’s Oasis or “B” for Blue Bayou. Scroll down to “M” for Main Street Electrical Parade Dining Package. I’ve enjoyed both options and recommend both of them. Blue Bayou is a ‘fancy’ dinner and the parade viewing on Main Street is great. Aladdin’s Oasis is way more laid back and the parade viewing near it’s a small world is good, too, and a perfect fit for families. If the park is hosting two parades during your visit, the schedule typically includes matching lunch reservations (at either location) to the earlier parade and dinner reservations (at either location) to the later parade. If you call in to make your reservation, ask the cast member to confirm which show you will see before you commit. 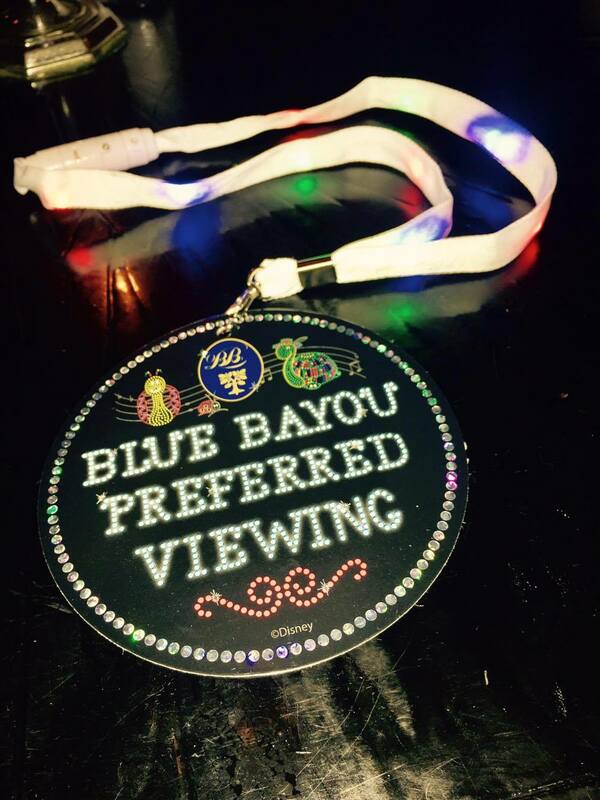 Most often, when there are two parades, if you book a meal before 6:10pm at Blue Bayou, you will receive access to the viewing area for the first parade. Anything later will be for the second parade. If you book before 4pm for Aladdin’s Oasis, you have access to the first parade. Reservations for after 4pm have access to the second parade. I prefer Aladdin’s Oasis for the viewing area, and I also love that the first parade starts at this spot, just next to it’s a small world. So, at parade time, you will see it immediately. 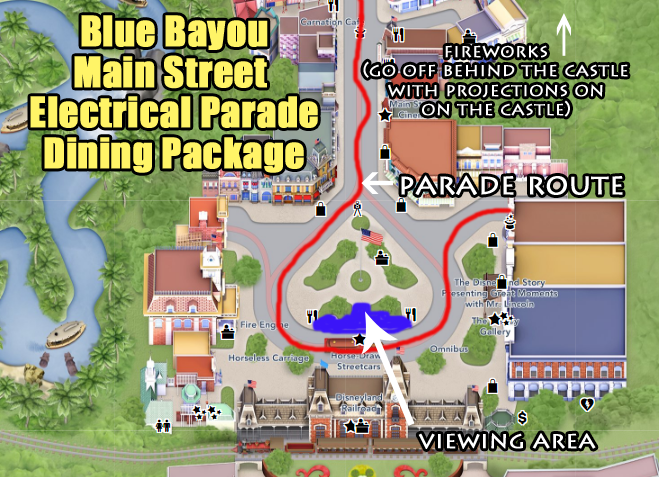 If you’re at the Blue Bayou viewing area, you’ll wait 20ish minutes for the parade to reach that part of the park. Again, this is better or kids who don’t want to wait. This is a premier dining experience with table service and a cost to match. I thoroughly enjoyed it. Check out the photos for what you can expect from the meal. Annual Pass discounts do apply. Check out my latest experience, in March 2017, in full detail here. Arrive one hour prior to parade time to secure your spot in the viewing area. You can arrive later, but you’ll have less chance at getting front row. Let’s take a look at what dishes are included. You’ll receive this ticket at the end of your meal after paying the bill. Keep it in a safe place because you will need it to enter the viewing area at parade time. You’ll also receive this light up lanyard. The lights blink and have three settings. About an hour prior to showtime, arrive near the Main Street Train Station to claim your spot. The ticket you receive will suggest only 30 minutes, but people will be lined up before that. It stretches from just beyond the sides of each of those sets of trash cans, up to the curb and then back toward the flag pole. If you attend the first parade and want to watch fireworks after, move up Main Street as soon as you see the final float – the American flag – go by. Do your best to get as close to the castle as possible so that you can enjoy the projections that coordinate with the show. If you don’t care about the projections on the castle, stay put right there around the flag pole. You can see fireworks from there and then will have an easy escape from the park if you’re ready to go after the show. This more budget-friendly option is ideal for families and especially those with young children. Both your dining location and parade spot leave lots of room for kids to run around and you won’t stress about how their behavior is affecting those around you. Annual Pass discounts do apply. Review details from my most recent experience with this dining package, in February 2017, here. 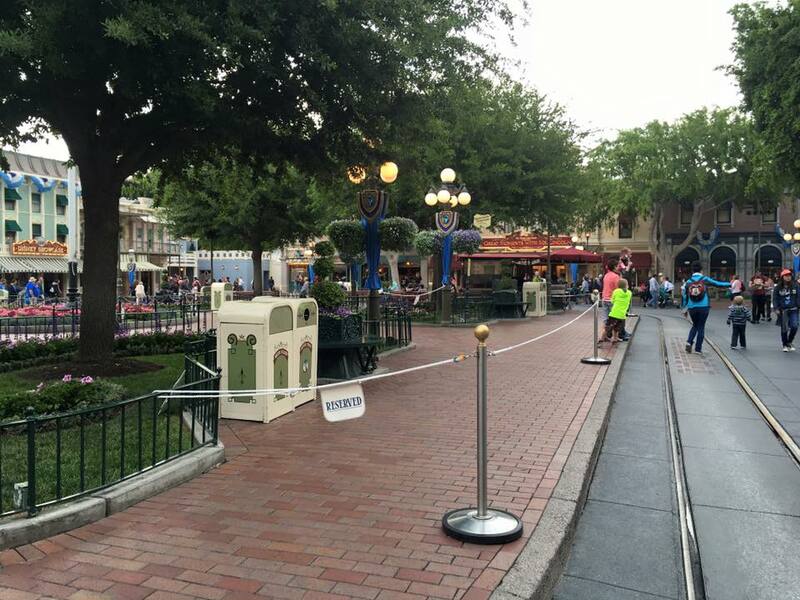 Arrive 1-1.5 hours prior to parade time to secure your spot in this reserved viewing area. With Disneyland’s latest attempt at crowd control for the parades, this dining package has become less attractive to me. Time will tell if it’s more in need as summer crowds arrive. Beginning early March 2017, cast members started deterring guests from setting up hours before the parade. I’ve elaborated more on those “New Rules” in my post on parade set up. With this in mind, the dining package options seem less attractive since most guests are arriving around the same time as you would for a dining package reserved viewing area. When guests were saving spots 5 hours in advance, the dining packages were a lovely option because you don’t have to arrive until around an hour prior. Aladdin’s Oasis prices continue to increase. 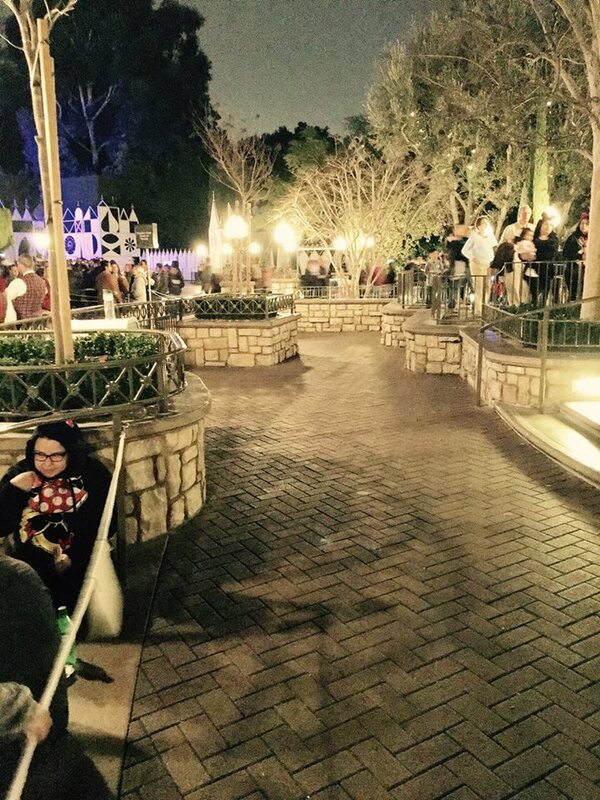 And, they’ve removed the spots in this section that allowed guests to sit front row. There are still good viewing areas and I still like this dining experience. But with parade viewing more reasonable, this dining package isn’t all that it used to be. 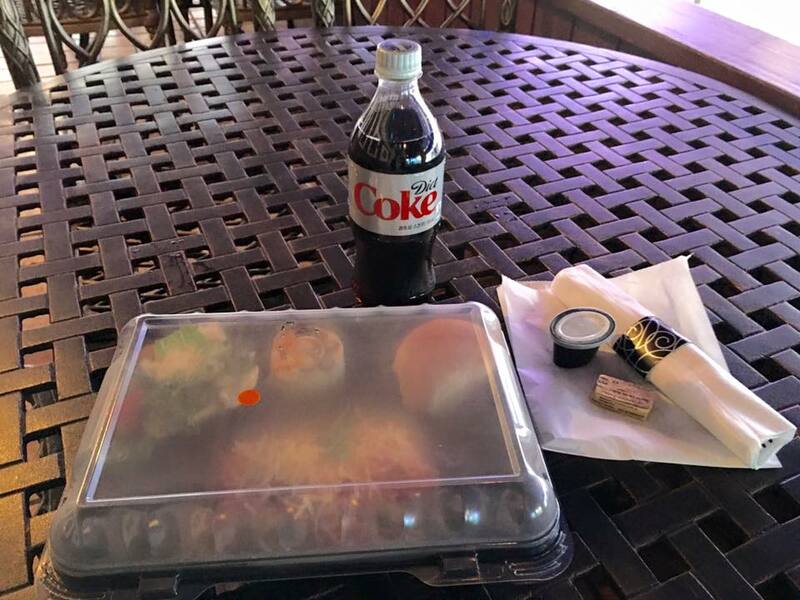 You may take your food to go or you may stay and dine at the Aladdin’s Oasis location. It’s just to the left of the Jungle Cruise in Adventureland. I recommend dining here. You will dine here at whatever time you choose and then enjoy the parade in front of it’s a small world. In that area, there are rarely crowded restrooms nearby, snack carts, and room for kids to run around. This is a much better option for families or for those who don’t like the chaos and crowds of Main Street, where the Blue Bayou location is. The seating area is gorgeous, has its own companion bathroom and is rarely busy at all. If you choose to leave with your food, it’s packed to go with utensils, napkins, salad dressing, and butter for your bread. Drink of your choice is also included. And, if you choose to stay, you can just open up your meal and dine on site. I had the vegetable lasagna and it was really good. 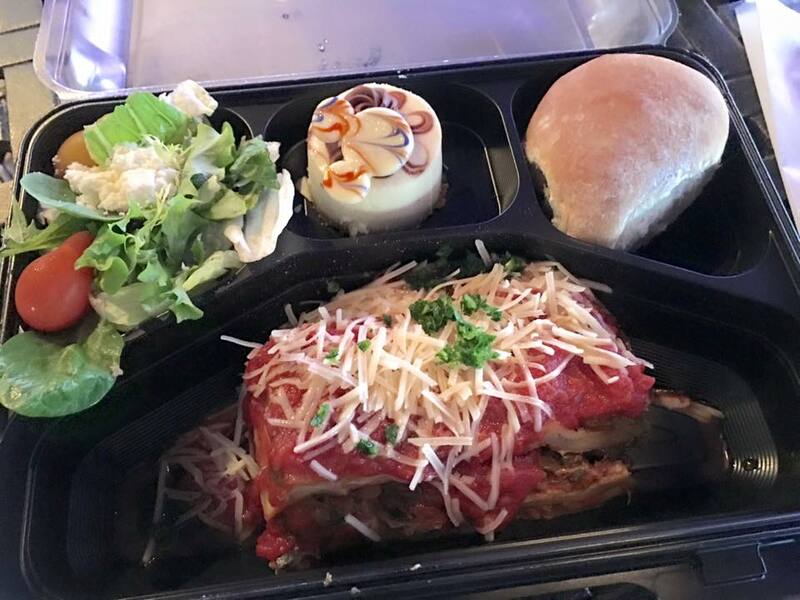 Cold, crisp salad and warm lasagna. When you pay for your meal, you’ll be given your tickets for the parade viewing spot that evening. Don’t lose these. You will turn them in at parade time, just like a FASTPASS. From the two spots above, you’ll have a great view, as this area is set above the crowd in front of you. We claimed out spot with our Matador blanket (worth every penny) and had great viewing. One adult may sit here to claim your spot until parade time. My husband took our kids to enjoy rides while I sat for an hour. Each person will need a ticket to join whomever is holding the family’s spot, so be sure each person has one upon returning. Have everyone arrive back 10 minutes prior to parade time. Here is what the parade looks like. 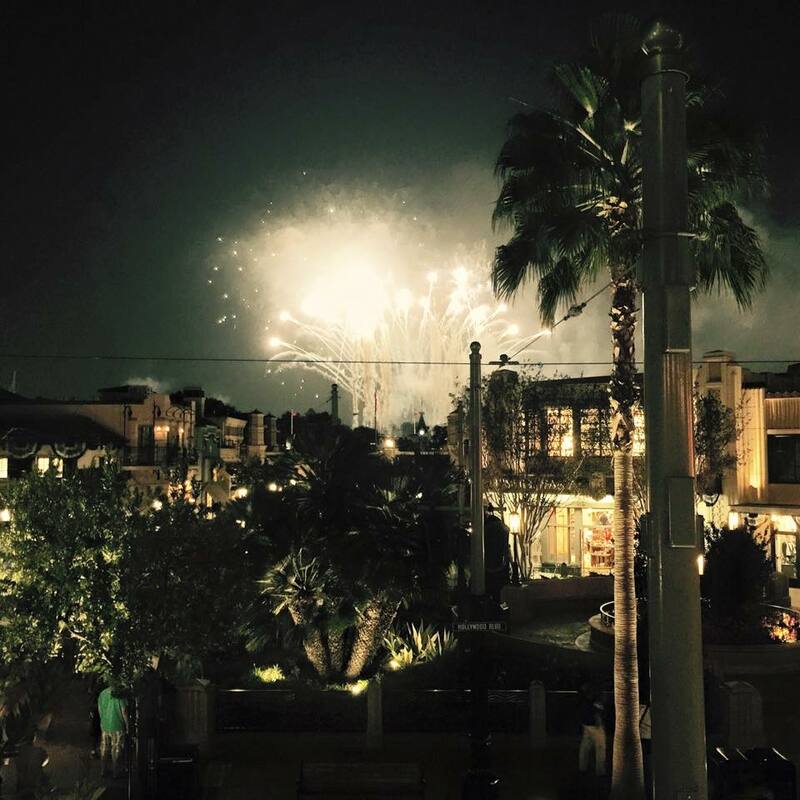 And, here is your view of the fireworks, although they are not technically part of the Aladdin’s Oasis package. You can see the projections on it’s a small world and then how the fireworks are set just to the left. I saw the return-debut of Remember….Dreams Come True fireworks on 2.3.2017 and watched it from the same section for parade viewing. So, stay put if you have fireworks after the parade on your schedule. The Frozen Carthay Circle Lunch is lovely. There is typically only one show time available for this package per day. 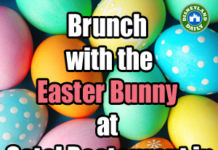 The Lunch is $89 per adult and would be $59 for kids. 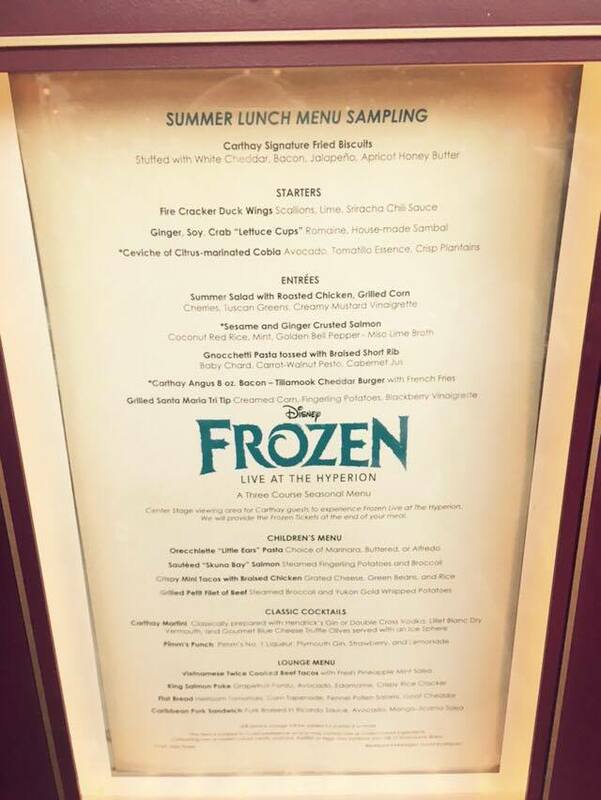 That included lunch and preferred seating at Frozen Live at the Hyperion. I enjoyed the experience a few days after it became available. 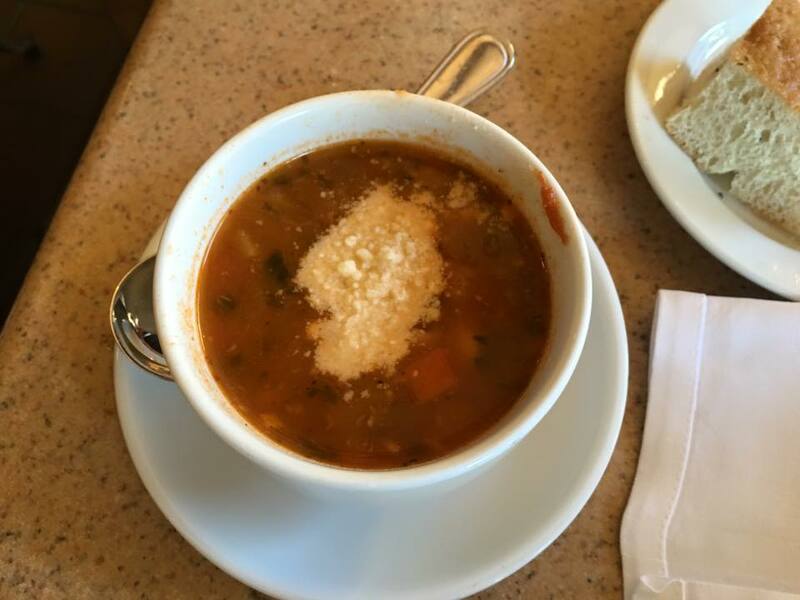 Check out my Facebook post for lots more details, including information on the free Carthay Circle Restaurant Tour that is available every day at 10:30am. 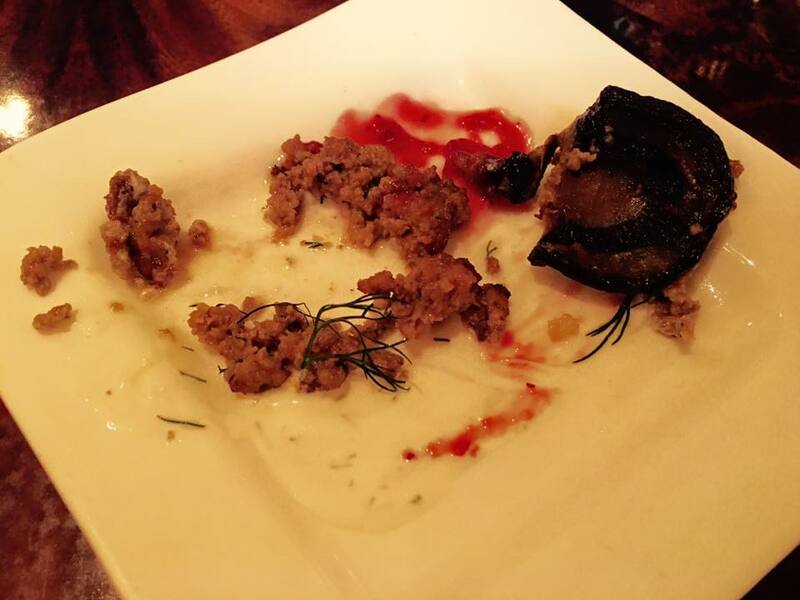 Act One – “Stone Trolls” = Norwegian Meatballs, Baby Portobello Mushrooms and a Lingonberry Jam. 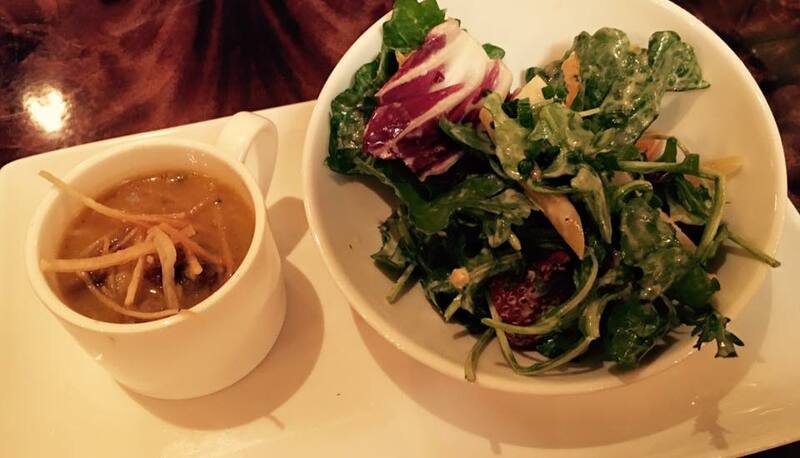 Act Two – Summer Yellow Tomato “Sopa De Ajo” and Carthay Circle Citrus Salad. 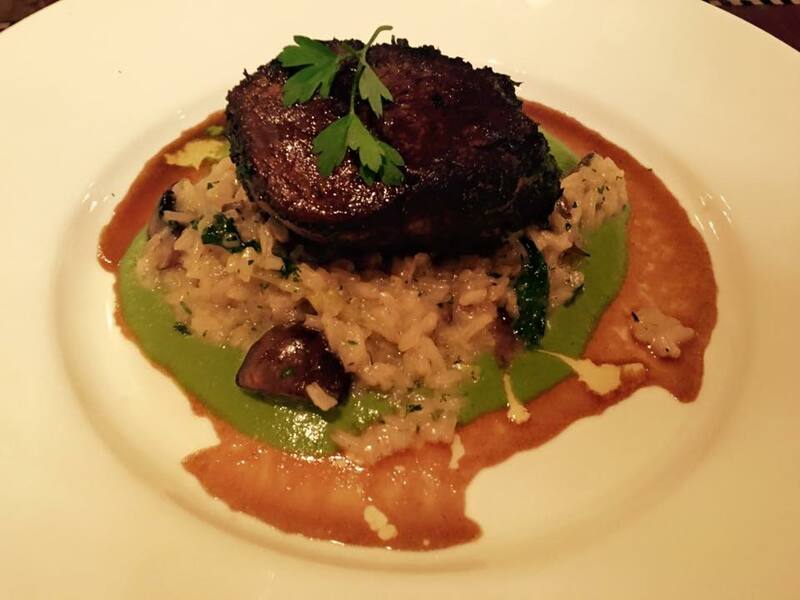 Main Act – My sister had the Herb Crusted Petite Filet of Angus Beef with Blue Cheese Risotto, Spinach and Wild Mushrooms. 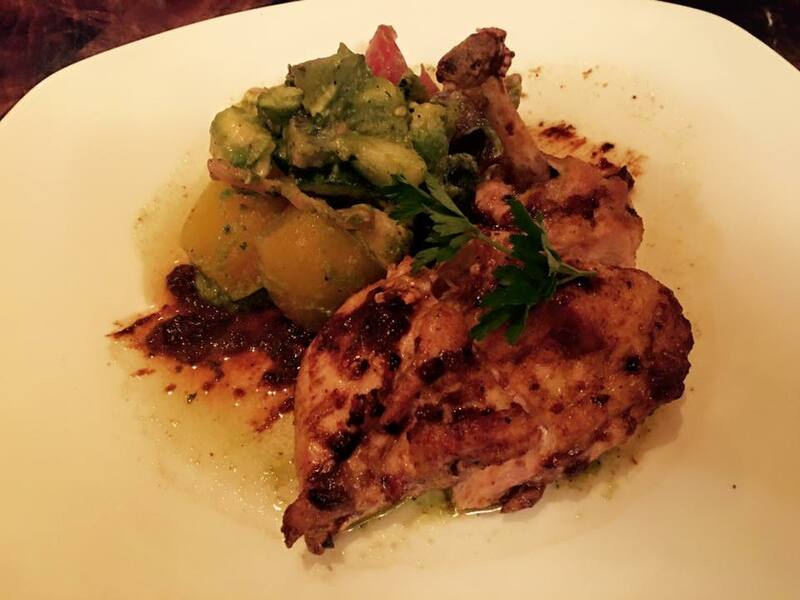 I had the Roasted Breast of Chicken with Heirloom Tomatoes and Avacado with Poblano-Lime Vinaigrette. For the preferred seating option, I recommend sitting dead center in the first row of the tiered section. Front row is lots of fun, too, but you’ll see more in the tiered section because projections are shown onto the curtains that flank the stage and characters walk up and down the aisle, too. This new experience arrived at Disneyland on May 26, 2017. I was there the next day to try it out and share my experience with you. Find out what you can expect, a concern I have for this option, photos and more in this post. If you’re considering a meal at any of these restaurants, I highly recommend tying in the show with your experience. If you’re already going to spend the money on one of these pricier meals, add the show to get the most out of your money. The experience is worth it. Both locations for parades at Disneyland have advantages. 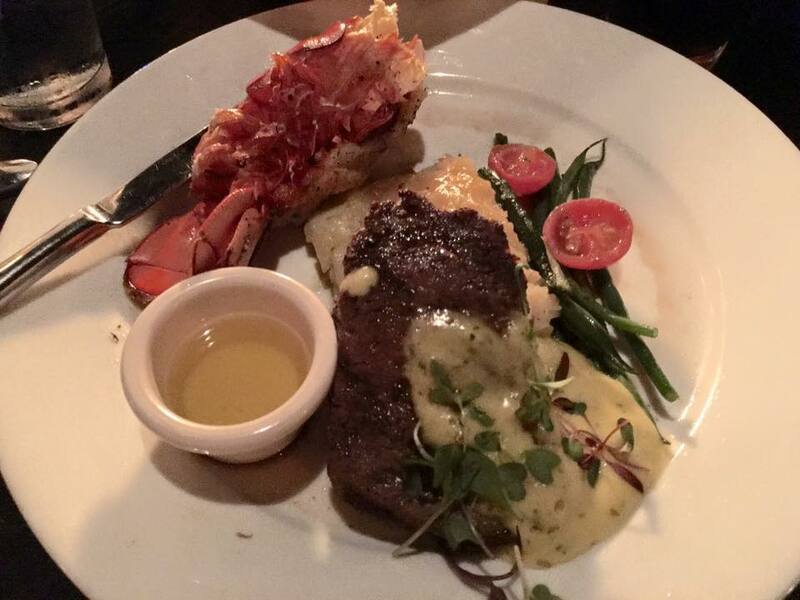 With Blue Bayou, the food is more upscale and the dining experience is fancier. The viewing area is good for the parade, but many people don’t love that you’re set so far back on Main Street to see the fireworks. I prefer Aladdin’s Oasis for families with young children because it’s far less busy, the kids have room to run around prior to the show, bathrooms are easily accessible and it’s all around more family friendly. The three options for World of Color are all very different, too. Ariel’s was my least favorite, as I didn’t enjoy the food there as much as the other two. Wine Country Trattoria is great for families with young children since you dine outdoors and parents often feel better about a little one being loud in this setting. Carthay Circle is the best, and children are welcome, but some prefer not to bring kids since it’s a “fancy” experience. There will be children wherever you dine. Choose what you are most interested in and the kids will be just fine. 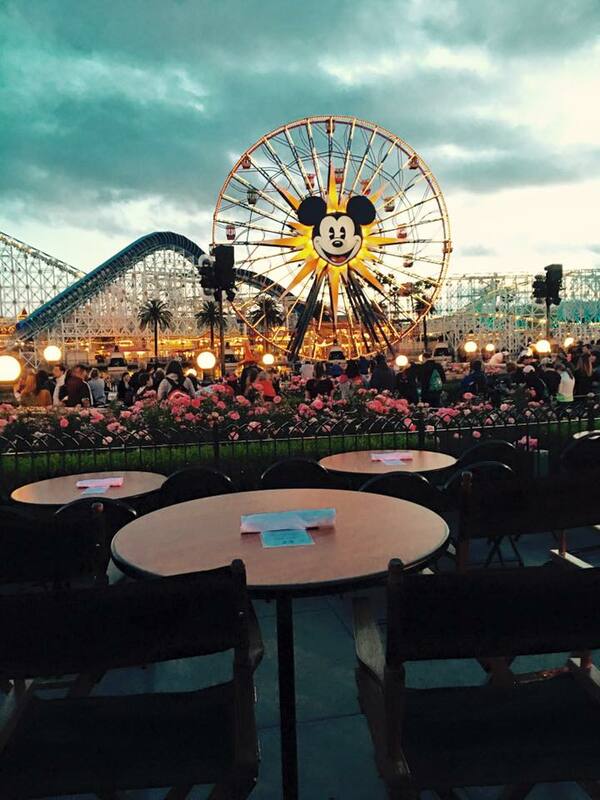 The World of Color Dessert Party is the only option at either park with actual seating. If this is important to you, go for it. It’s pricey, but is a lovely way to enjoy the show. Even with reserved viewing, you’ll want to arrive early to get the best of the reserved viewing. All of these indulgences are popular. I recommend arriving early. Tried to do a dining package at Blue Bayou for the Fantasmic show April 11 and it is completely sold out, but I can get one at Hungry Bear (figured I’d at least save some $ and still get to be in viewing area). I was really hoping to incorporate BB into our visit somehow, so would lunch that day instead be a good idea? How does that affect your “riding plan.” Just continue down the list wherever you left off? Already have reservations/dining package booked the next night at Carthay Circle for World of Color! 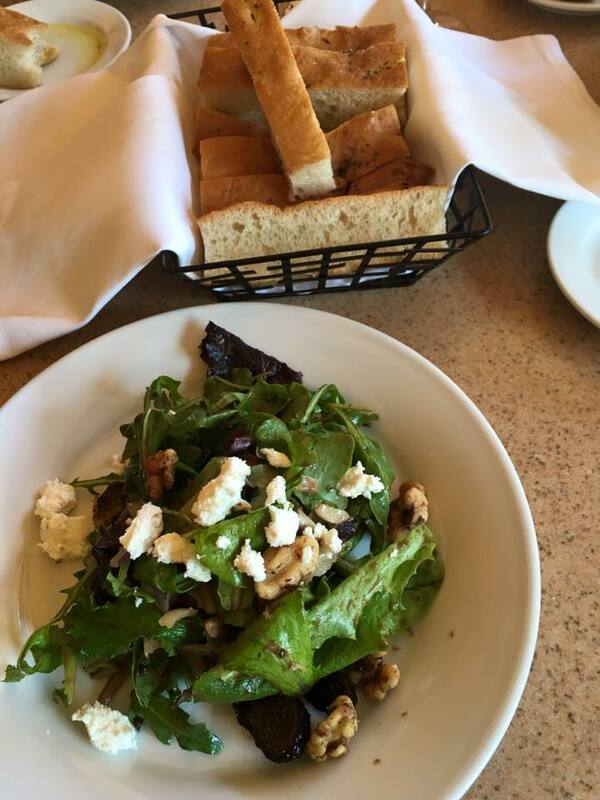 Most rides are done prior to lunch, so dine whenever you want. Lunch at Blue Bayou is fun! I have a question reguarding the nightly shows during Pixar fest. I’m very confused… I was under the impression that Fantasmic wasn’t running and that the Together Forever Fireworks show was happening instead, but then I was booking my dining packages with the preferred viewing areas, and I found & was able to book a dining package for Fantasmic in June? Please advise… and if both programs will be running on the same night, then will my dining package preferred viewing spot allow me to watch the fireworks? Thank you! Fantasmic! is running in conjunction with the fireworks on some nights. Click on your dining package within that post for more specific info on fireworks from your viewing section. 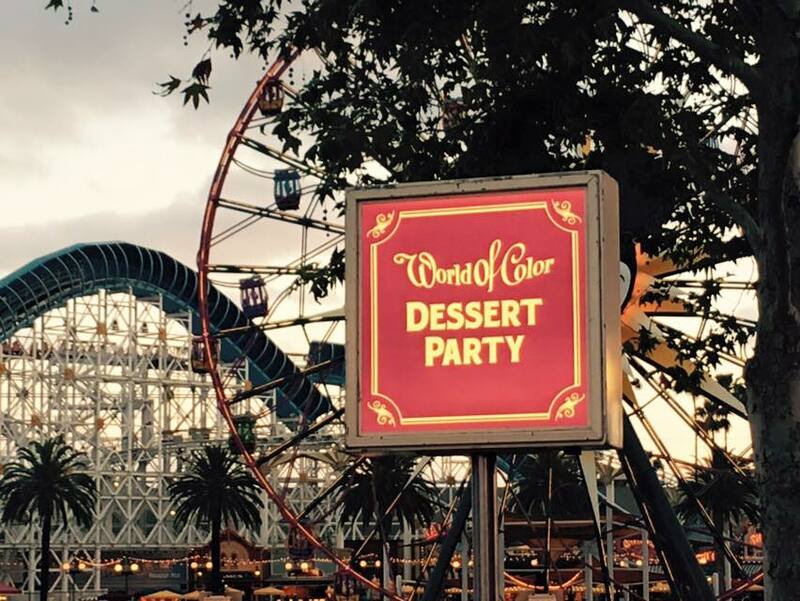 We tried the World of Color Dessert Party this December and had a great time. It was a splurge for us, but it was definitely the way to see World of Color without any hassle. While we enjoyed it a lot, I wouldn’t really need to do it again. Maybe next time we’ll try one of the dining packages for Fantasmic. Is the MSEP being replaced by something else? I can’t imagine Dland without it. Taking my kids for the first time in september am heartbroken. ? Paint the Night is starting in April at DCA. Pixar Play Parade starts at Disneyland at the same time. 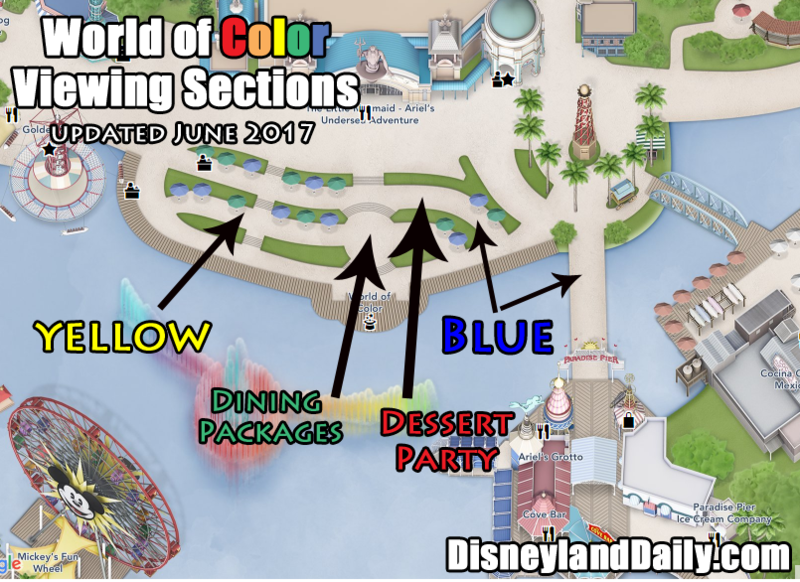 you have that world of color dessert party is the only option in the two parks that has seating. 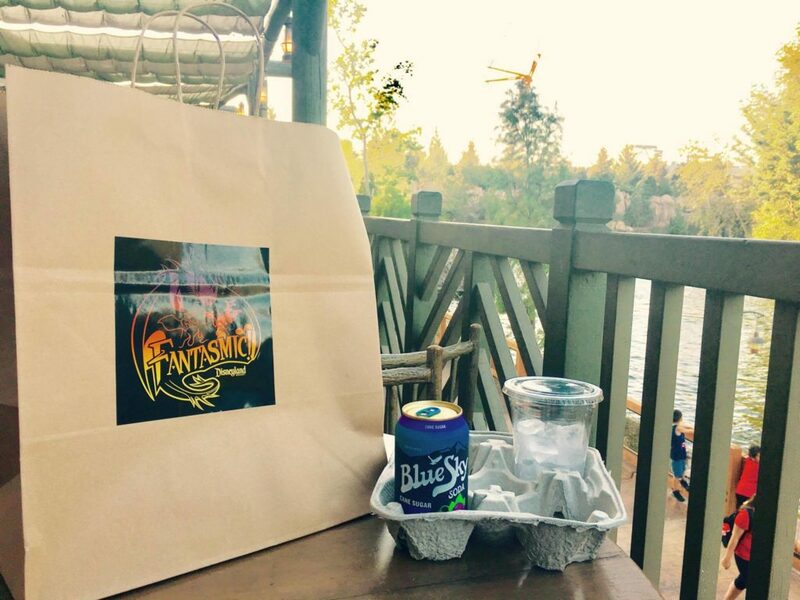 doesn’t the blue bayou dinner package for fantastmic provide seating? i thought i read somewhere you get a seat cushion or something with it? this was a very helpful article though about world of color! thank you!! Sorry, Kaitlin. I failed to edit that part. Blue Bayou has seating on the ground. You receive a cushion to sit on. River Belle Terrace also has a seat on the ground and an upgraded version that includes staying in your chair at your dining table to watch the show. I dont consider a cushion on the ground ‘seating’ myself. So I think you shouldnt have edited it. Lol. We have done the dessert party for World of Color. And personally I wish our Disneyland had more of these actual CHAIR options. I would pay for a REAL SEAT any day of the week for shows. Do you have any suggestions how to get seating just below the train station on Main. 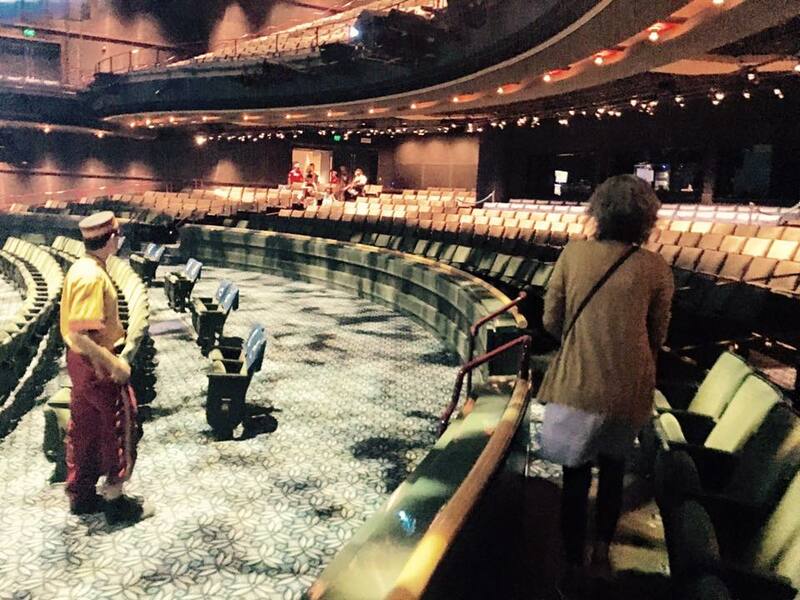 We got to sit ther one year, magical, because the cast member took pity on me. Iv heard thats reserved for VIP tours only? Any other way to get in to sit ther? I’m so sorry! Where do I reference it has “seating”? I’ll edit that. No way to get those seats by the train station. They’re reserved for tours and VIP guests. So sorry! Super helpful post! My family and I are going to be in Disneyland in the first week in January and we know that it’s going to be packed, so we were looking into the Main Street Electrical Parade Dining Packages. However, how can we make a reservation 60 days in advance if the park’s schedule for January hasn’t been released? Should we reserve and then cancel if there’s no parade that day/time? Thanks! MSEP is actually not showing anymore. I apologize! Need to update this post. Wait for Fantasmic! Dining packages to become available and then book one of those. They’re great! Hi Casey, thank you so much for the posts. They have really prepared me for my upcoming trip with my girlfriend. We plan on going to both parks for one day and we want to use 2 dining packages, but we also want to see 3 shows, Fantasmic!, Frozen, and World of Color. Which of the 2 shows would you recommend that we use dining packages for? I would do a dining package for Frozen and Fantasmic! 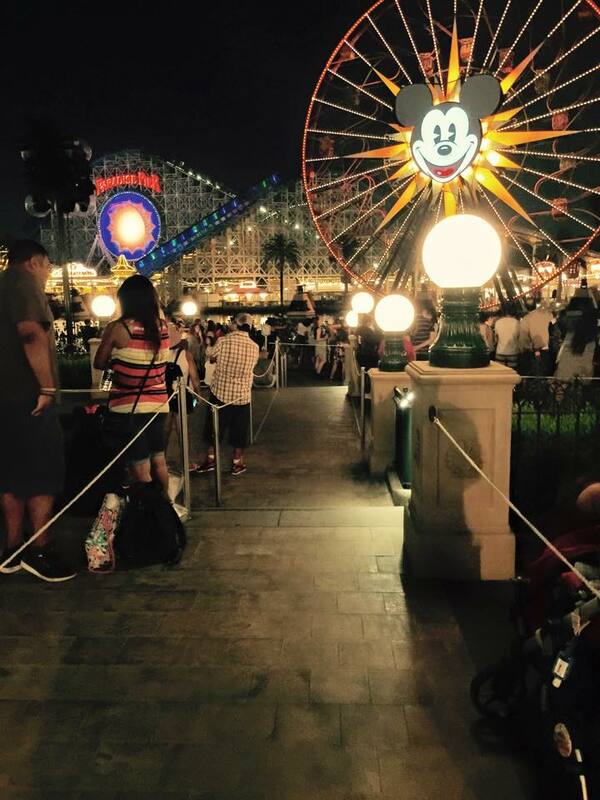 Use the free FASTPASS for World of Color. You have quite a day ahead. Enjoy! I made an online reservation but there was no option to request the patio. I could only select a time, date and the number in the party. I guess we will have to request the patio upon arrival? Hey, Troy. Make sure your timing works if you’re trying for the fireworks/WOC duo. It’s not entirely easy to do, but it’s worth a try. 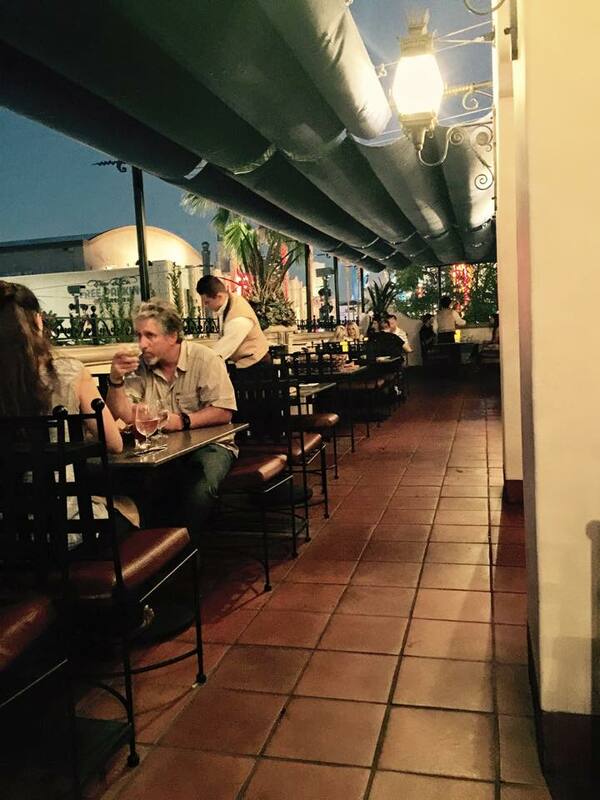 Arrive 30 minutes prior to your reservation and request the patio. If the cast members say it’s full, let them know what you’re trying to do and ask if a later dining time would work if they didn’t have anything right at your reservation time. Hopefully they’ll work with you. Not many people know to do this, so there isn’t a huge demand for the patio. But, each time I have tried, I had to really work to make it happen. Good luck! Hi! I have been up many nights all night trying to take in all your useful info! Thank you for all you do! A question for you as I am prepping our 1st family trip 11/8-11/10. Our last day 11/10 is said to be the first day actually set for Holiday, so I have a lot jammed into that evening. Any thoughts on how we can pull off the Christmas Fantasy Parade, it’s a small world ride at night, World of Color Season of Light (thinking of doing the dessert here but it’s $$$, but also seems worth it since we’ll have two kids who WILL want to sit) & the Believe in Holiday Magic Fireworks show? Thank you so much for any help you can provide!!! Oh no! I’m seeing that WOC Seaon of Light isn’t showing the first night of holiday. Do it think that will change or is the schedule I’m seeing on the DL website set in stone? Thanks! And, here is the link to the Disneyland website showing that it’s on that first night at 9:00pm and 10:15pm. So odd! It wasn’t coming up on my phone, still isn’t, but is on my computer. Ok, any recommends on how to do WOC Dessert Party & the Fireworks? We have a 3 & 6 year old and I think the seated reserved seating for WOC show is our only way to save sanity…but I would love them to see the fireworks as well. So is there a way that you can get into the reserved area for the fireworks? Like if I get a dinning package will I possibly be able to sit there or is it just like not possible to sit there? Fireworks at Disneyland are cancelled often due to high winds, so they’re rarely attached to any sort of dining package. 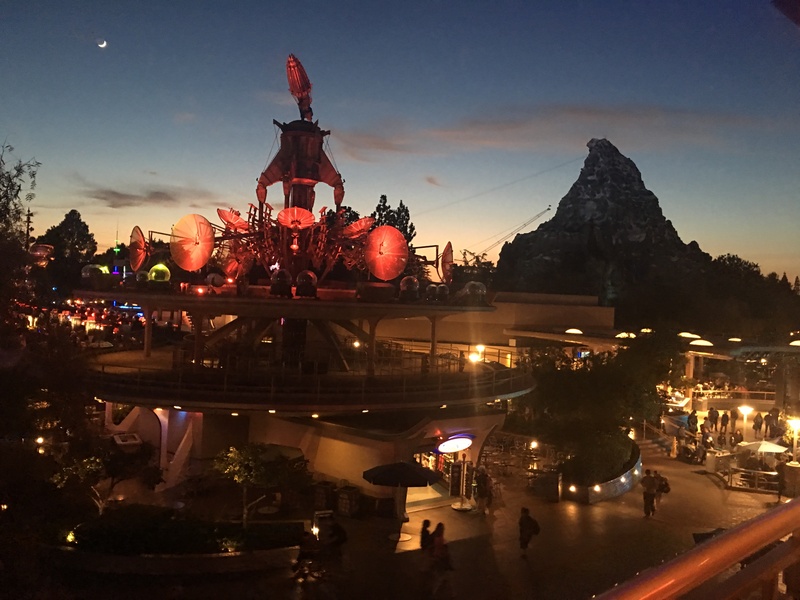 Within that post, I link up to the three dining package options and how to see fireworks before or after your Fantasmic! show, depending on your timing. Casey, were going to DL, in the first part of May, all weekdays, do you know if the Fantasmic show will be running then? Or is it only on weekends.Thanks in advance for your help. Also last year by this time I was able to see the refurb list, and I can only see a few rite now, when does the list get updated please? I’m not sure how Fantasmic! will play out with the start of Pixar Fest. But, I think it will run every day to alleviate the crowds. Which refurbishment list are you referencing? I love Carthay Circle for fine dining and the World of Color Dessert Party for a special event to watch the show. Both of those are at DCA. At Disneyland, Blue Bayou is the best! Hi Casey, I just made my reservation for the Frozen Lunch Package in a couple of weeks. There were only 3 times to choose from in the drop down list: 11:30, 12:00 and 12:30. What time frame would you recommend? I originally selected 12:30 but got to thinking that may put us at a disadvantage. Assuming all lunch times will be seeing the same show, would we be getting in line too late and possibly not get the best pick of seats? Thank you for any advice you can offer! Good question. 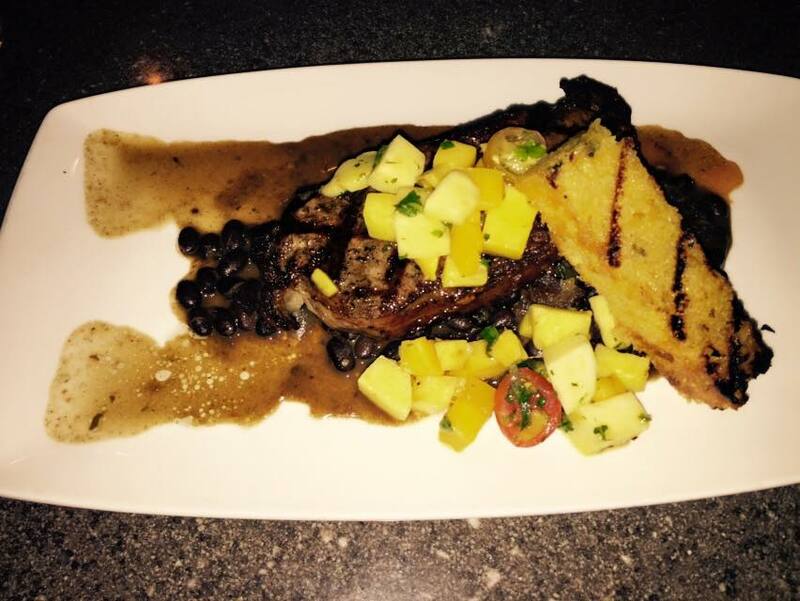 This meal and experience keeps changing, so I would call the dining line at 714.781.DINE to ask for more details. Regardless of what time you dine, you should be given first choice of seating. The cast member you speak to should be able to advise if there is one that might be better than another. I don’t want to give you the wrong advice and have you miss out. Better call to be sure. Enjoy it! We had such a good time. Is the blue bayou viewing area for paint the night accesible for someone in an electric wheelchair? Also, can you stay in that same spot to view the fireworks? Yes, the Blue Bayou area is definitely accessible to guests in wheelchairs. You could stay in the same spot for fireworks, but I recommend moving down Main Street as close as you can to the castle for a better view. Music will accompany where you are, regardless of how close you get. Enjoy! Hello! I could use some advice. My family is taking our first trip to Disneyland. We will be arriving in the afternoon on August 20th. It will be our only chance to see the electrical parade. 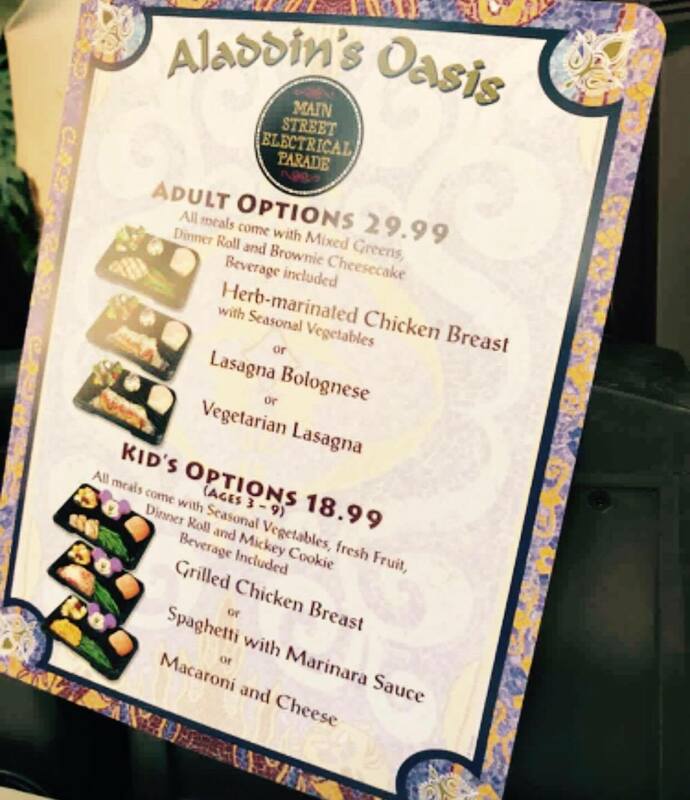 I see the Aladdins Oasis dining package doesn’t have that great of a review but do you think it will be worth it to book it to get a spot on the last day of the parade? I am not sure what to expect. is there usually much larger crowds on the last nights on shows? I am just afraid people will camp out for hours before and we won’t be able to see it but also don’t won’t to spend $100 for the Aladdins Oasis package if we don’t have to. Any advice is appreciated! The last day will be super popular. I recommend Aladdin’s to ensure your spot. To be safe, arrive 1.5 hours prior if you can to get in line to claim your front row spots. Enjoy! Do you think the Aladdin’s Oasis parade package is worth it? I was ready to book then read all comments about parade viewing area not being that great. Also, at what age to they require a voucher for reserved area for the parade? We will have a 1 year old with us Do we need a voucher for her? Thanks for all your insight! I don’t think it’s as good as it once was. I used to dine there once a month or so and now don’t do it. They removed front row viewing and raised the price. Blue Bayou is awesome, but you can’t get the great view of fireworks there like you can from the Aladdin’s section. Kids age 3 and up need vouchers or tickets for any/all attractions. Thank your for replying. I originally tried reservations for the Blue Bayou but it says no reservations available. We are going Aug 2 so I must be too late trying to get a reservation. Call the dining line if you’re interested. Reservations can be fickle online. 714.781.DINE is the number. Enjoy! 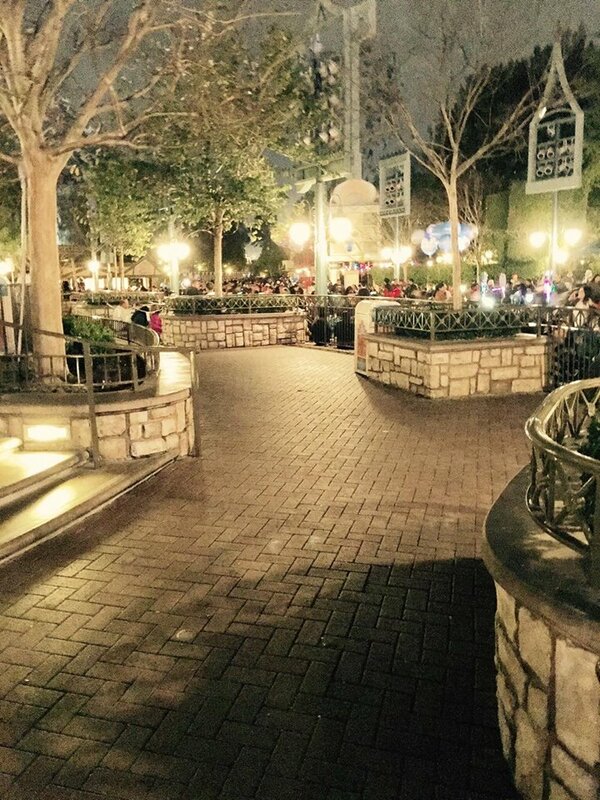 I recently contacted a Disney chat specialist and they told me there is no outdoor seating at Carthay Circle? Why is this? The restaurant doesn’t have a patio. There is a balcony off one of the dining rooms, but that is the only outdoor option. It’s very much “fine dining” and I guess patios are more casual. Hi Casey! We will be visiting June 13 – 20 and I was trying to book the Frozen Dining Experience during our stay. On line, every date after June 11 is greyed out (except June 26, strangely). I called to ask Disney Dining about this and they said it’s because Carthay Circle has “something going on.” I’ve noticed even through July, the dates are all grey. Not sure what’s going on, but she did say it is not affecting the Frozen show, just the dining package. P.S. My mom tests were good! 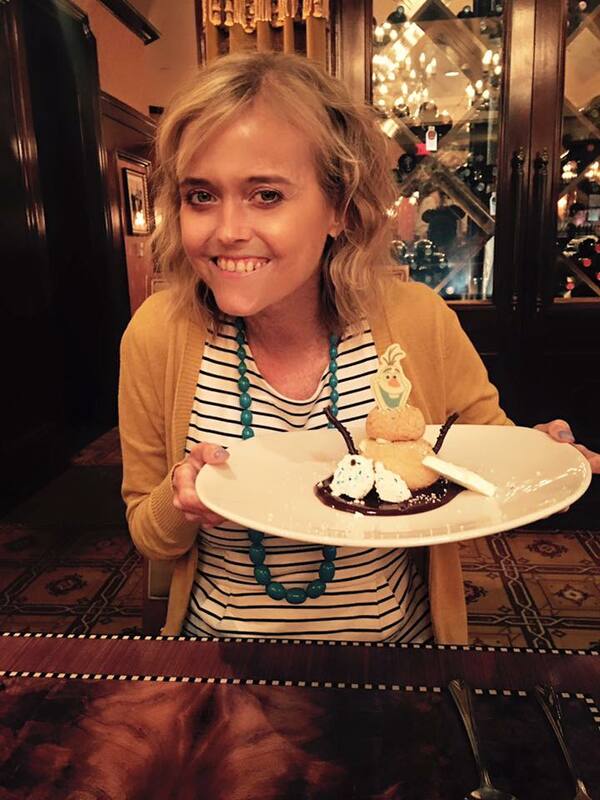 She still has some treatment she has to get through, but the test results were clear! So much good news here. Thanks for letting me know! Haven’t heard anything about Carthay, but what you’re learning could mean a possible refurbishment. Keep in mind another plan for seeing the show. It’s much easier than it was before. Later shows are better. You’ll be just fine, with or without the package, but keep checking back to see what happens for reservations. Often, cast members simply don’t know what is happening, so they don’t know how to inform guests of what is ahead. Check back with me if you think I can be of more help. Happy to do whatever I can for you! We did the Aladdins Oasis MSEP package last hubby and they did let us sit right on the street close to it’s a small world. ? This has changed since then as far as I can tell when I visit. I have looked & looked & I am still very confused about the cancellation policy for the WOC Dessert party. I know it has to be paid in full upon reservation. Is it fully cancel-able (before the 24 hour deadline)??? On the website it says “This is a pre-paid event—full payment is due upon booking and cancellations must be made 24 hours in advance.” But then, it ALSO says “Dessert party packages will not be refunded unless the show is canceled by Park “. What does that ‘refunded’ statement MEAN? Does it mean you can cancel but you won’t get a refund? Can you shed any light on this one? I’m waiting on some test results for my mom before I fully commit to this vacation, but I don’t want all of the reservations to be gone. Thanks!! I have been told that you won’t get your money back if you cancel. I haven’t tried it, so I don’t have personal experience. But, I wouldn’t count on a refund if you have to cancel. Hope your mom is ok. Thanks. I still think it’s very confusing. They should just put “non-refundable” and take out the cancellation info! I’ve purchased the WOC Dessert Party tickets just last week. The cast member who made the reservation for me said that we could cancel up to 24 hours prior. I looked on “My Reservations” on the Disneyland site and it has a link that would enable me to cancel the WOC party if I needed to. Hope that helps and hope your Mom is doing well! Hi! We are doing the Blue Bayou/Electrical parade combo on Wednesday 5/17. I was hoping to follow your plan to catch the fireworks afterwards, but I don’t see it scheduled that day. Do you think there’s any hope that Disney will add it to their schedule? Or do we just miss out? Also, just wondering your opinion on stroller etiquette at parades. Do most people park their strollers right up at the curb? Or take their kids out to actually sit on the curb and park the stroller somewhere else behind them? I like the idea of using it to “save a space” but also don’t want to be that jerk that every else glares at 🙂 We will have two strollers with us in our group (5 adults, 2 children). You’re so sweet to ask about stroller etiquette. Wish every guest were as considerate as you! Don’t worry about using them, though. Everyone does. Even front row. Totally fine to grab your space with your stroller. Looks like fireworks are still weekends only while you’re there. I confirmed with the schedule. So sorry. Bummer. Thanks for checking! I keep hoping it will change since I noticed it’s a “grad night” too (which I was totally paranoid about but feel better after your post on grad nights! ), but no such luck. And thank you for the stroller info! Hi! Quick question about WOC Dessert Party— are kids under 3 also free here? Also- when it says Under 3 is free at other places, like for Wine Country– can I still order my 2yo food and or will I have to pay the entire child price? If you order food, you will have to pay the child price. Otherwise, kids under age 3 can eat off your plate. Kids under 3 are free at all dining events. Question about Ariels princess meal. I know under 3 we don’t pay the child price. I heard a rumor there was a cheaper toddler menu for under 3s but I can’t find that information. Have you heard of this? Or is it just eat off the parents plate? Thanks! Thank you for such a thorough review, complete with helpful photos! We’re heading to Disneyland in a couple of months and we’ll be enjoying the Blue Bayou package to see the MSEP. My question is: after we dine and head over to the Main Street/Train Station area, do we actually check in with a cast member before claiming a spot? Or can we just find a spot in the designated area and then they come around to check tickets? If we need to check in with a cast member, are they already there at the entrance to the designated area or do we have to go somewhere (i.e. Town Hall) to check in? Thank you! Hi, Trish. A cast member will be there at the entrance to the viewing section to check your pass before you can enter. No need to go anywhere else. Enjoy! I don’t see the option to do a Blue Bayou package for lunch. Is it dinner only? It also doesn’t say 1st show or 2nd show for the Blue Bayou ones like the Aladdin bookings do. Is it second show only for Blue Bayou? Thanks. Blue Bayou dining options don’t start until around 4:30. If you dine prior to 6:10pm, you will see the first show. If you dine after that, the second. I can’t decide between Carthay and Wine Trattoria. We have a special diet restriction so we likely won’t be eating all 3 courses. Do you still pay the same? We will have a 2 year old with us. Does Carthay dining really take that much longer than Wine Trattoria? Is the reserved view for Carthay way better? Carthay does take about 1.5 hours. They really have wonderful service and it’s a great experience, but might not be enjoyable with a 2 year old. Carthay’s viewing is better because it’s in the center and because it doesn’t share with another dining package. But, you can have a great time with the Trattoria option, too. I’ve enjoyed both. This post is EXACTLY what I was looking for! This will be my first visit and really want it to be perfect so here goes. Thanks in advance! Your plan looks good. 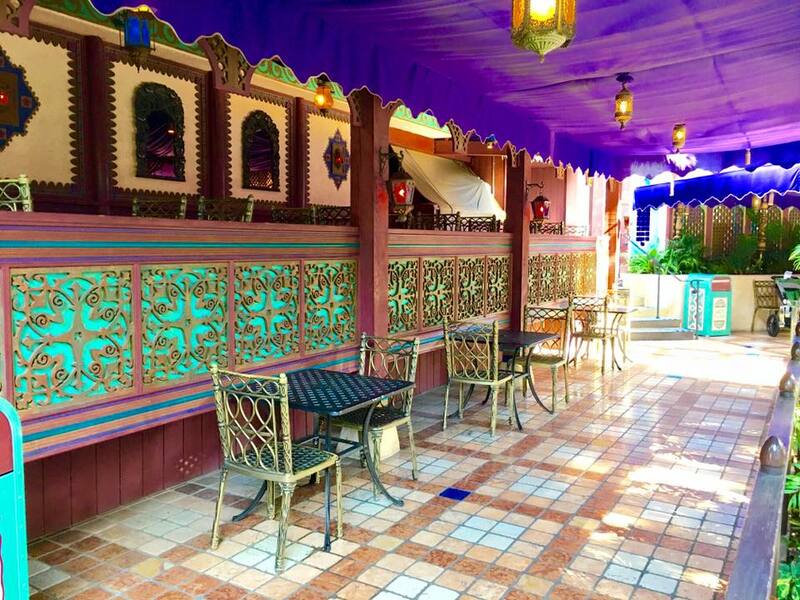 I would dine at the Aladdin’s Oasis dining area rather than taking my food out. It’s quiet and cool and much easier just to eat there. For MSEP, your reservation will have you assigned to the first parade. For WOC, your reservation should have you assigned to the second WOC. Confirm when you dine and let them know your line up of events and they’ll accommodate you. Just in case. But, I’m confident you are set up perfectly. After you dine at Ariel’s, go immediately to get set up at it’s a small world for the MSEP. Going earlier will get you a better spot. Don’t rush or ruin dinner, but be mindful of your timing. Mind if I bother you with one more question? I’m aware that if I don’t feel like going with the dining package for WOC, getting a free fastpass is another way. If I want to see the 2nd show (10:15pm) on Thursday next week, what time do fastpasses usually run out? Again, it’s my first time there and my priority is set on getting the fastpass for the Spring Racer ride as soon as the park opens. I’m wondering if I can line up for the Spring Racer, get the fastpass, and then go straight to the WOC fastpass line and still get the 10:15 WOC fastpass. This varies each day. You’ll be too early with what you suggested, actually. If you want the second WOC, you will need to check throughout the day to see what is being distributed. I actually recommend NOT going to RSR immediately. The best way to avoid Disney madness is to go where the crowd isn’t. The entire park will go to ride RSR or pull FASTPASSES at park opening and you will end up waiting 20+ minutes for a FASTPASS, which negates the entire idea of them. RSR will not run out by the time you get there with this plan. If you follow that plan, move getting FASTPASSES for WOC to after you ride RSR. You can have a cast member call from across the park at any of the guest relation umbrellas to see what time is being distributed. Or, just send someone in your group over with all the passes. With a blue FASTPASS, arrive an hour early and set up on the bridge. Get as close as you can to the front. With a yellow FASTPASS, arrive an hour early and set up as close to the water as possible. You might get a little wet if you’re front row and there is wind. Let me know what else I can do for you. Hey Casey, do you know anything about the Main Street Electrical Parade Dessert Party? Leaving the park the other day I saw a reserved area on the curb with the platter of desserts there, but no CM to ask about it. 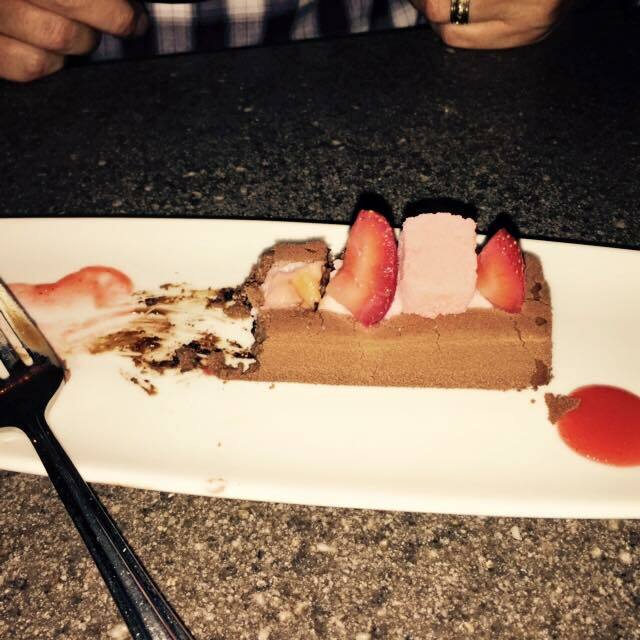 I haven’t seen it on the website, however they tend to hide the dessert options, as well. I don’t know anything about that. Could be for VIP or Guest Relations. I’ll be looking for it and will update if I find anything! Ok thanks!! It was so random since there were no CM’s or anything around it. I will keep an eye out, too! Just made a reservation for 3/22 at AO. But wondering about fireworks. I don’t see any scheduled that night. Do they not do fireworks every night? If I make a reservation for the Frozen dining package at Carthay Circle, what time is the show? Also, do you need to make your reservation before the show or can it be anytime that day? Thanks! Call in to confirm the time of your show, as it changes often. 714.781.SHOW will give you all the info you need. Thanks for the info. I called and they told me it is the 3:30 Frozen show. Lunch reservation must be made 11:30-2:00. We’re not going until June, but she said this information should not change before then. 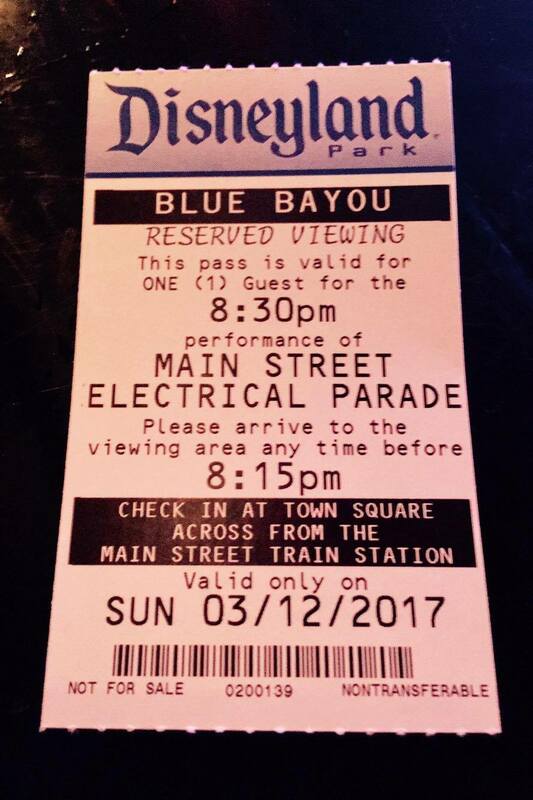 I have reservations for MSEP Blue Bayou 8:50 pm Saturday… assuming parade starts at 10:30, would you suggest we are pushing it with the time? Any advice? Dinner will take about an hour. You should be just fine if you go directly to the viewing area after your meal. The second parade is much more reasonable than the first. Thanks so much for the Blue Bayou MSEP dining information! We have this booked for next month… I’m a complete geek and am SUPER excited for the lanyard too! We had 6 o’clock reservations at AO on Friday. After waiting 30 minutes in line we were told that since our reservation was after 5 we would be with the late parade at 10:30 not the 8:30 parade like I expected. Since we have a 7 month old and 3yo we cancelled and ended up eating Mickey bars for dinner because it was so packed by that point. Would suggest highlighting this in your post. I know it says to double check, but having dinner reservations at 6 I wouldn’t think would qualify for a 10:30 parade. I honestly don’t remember it saying that when we booked. Hi, Athena. Thank you for sharing this with us. When you select a time for your meal, the next screen notes “1st Show” or “2nd Show” in the title before you confirm. I can see how you might miss this, however. I’ll add a note in my post about it so that other guests don’t encounter the same. I appreciate you taking the time to let us know your experience. Thank you so much, Casey for all the useful information. I’m glad I found your blog! I have questions if you don’t mind. We’re planning to go to DCA on Monday, April 24 and DLR on Tuesday, April 25, 2017. Do you think we need to make reservation through these restaurants for a spot, or because it’s low season, should I just plan on getting there early and get a spot myself? The restaurants are quite pricey for family of five, so I don’t know if it’s worth it to do during low season. Thanks in advance. Hi there. I would definitely get reservations. If a restaurant offers a reservation, grab one and then cancel within 24 hours if need be. Late April can get busy. Better to be prepared. Enjoy! 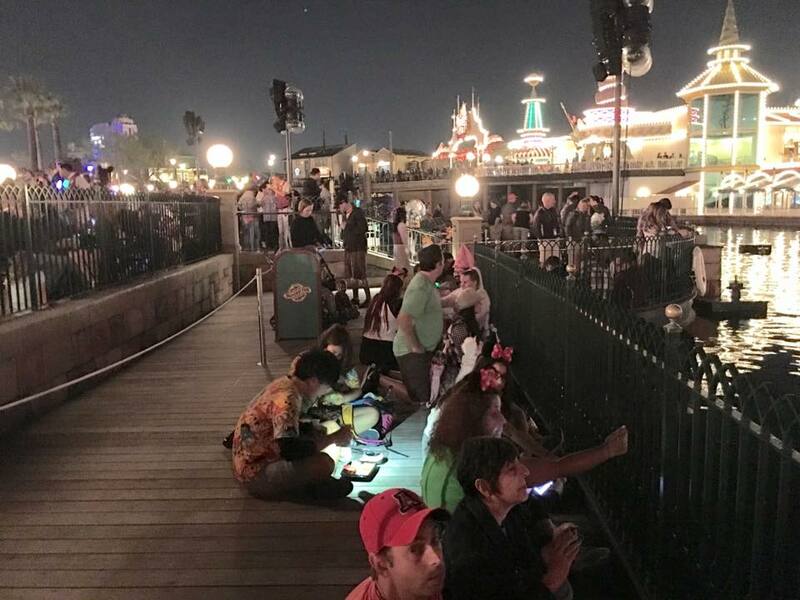 We used Aladdin’s On-The-Go for the Main Street Electrical Parade on 2/16/17, and the entry point was further up the bricks towards (northeast) where the parade started next to the VIP seating. The reserved area was only the second level behind the fencing. For the area shown in the photo above you posted, the reserved area did not go below the stairs (granted it was full of strollers at 5:30 for 8pm show). With a 4 year old that could not see over the fencing, we were better off just sitting on the bricks next to the companion dog relief area (of course on my Matador blanket), just south of the walkway behind this area, so basically we wasted money for reserved seating (but the kids enjoyed their meals). They were also letting people sit in the queue line for a small world on the other side of the parade path behind the white fencing. Thanks for the update, J.D. I link up to a post here on Facebook that shows I found the same on my latest Aladdin’s Oasis meal. 🙁 I’ve been trying to keep up with if they’re moving the section or not, so I’m glad you shared your experience. Each day I’ve been since then was cancelled due to rain! I’ll update this post with more info. I’m disappointed with the viewing area changes, but still think it’s a better option than waiting 3-4 hours, as you said, to watch the parade. Hope you love the blanket as much as me! Just made our reservations. Thanks for the tips!! Thanks, Jill. I’ll look into it. Haven’t officially renamed, so not sure what is going on. I’ll figure it. Appreciate it! 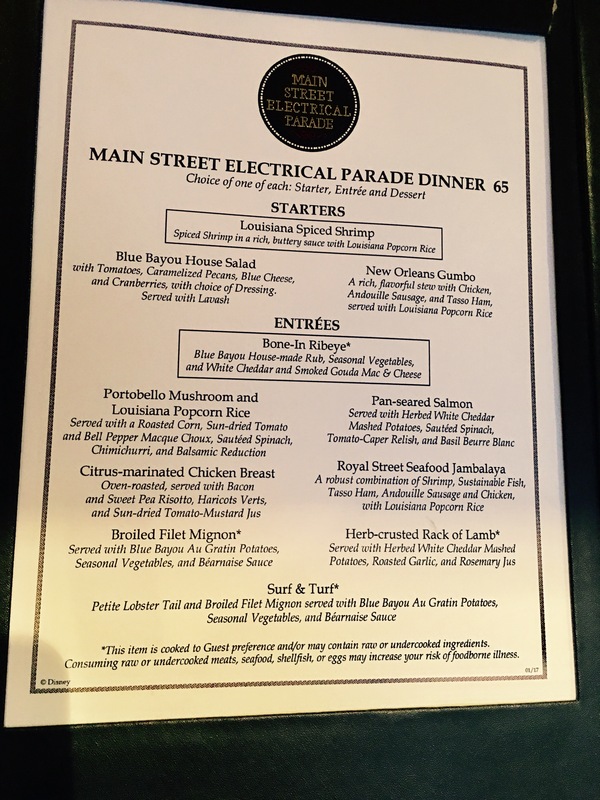 Is it correct that AP dining discount apply for Blue Bayou/Main St. Electrical Parade dining package? The AP discount does apply. Looking at the pictures for Aladdin’s On-The-Go for the Main Street Electrical Parade. I see people with strollers. Are you allowed to bring strollers into the reserved areas then? WE have 2 year old twins and older kids as well, so would be great if they allowed strollers. You can bring strollers in. No problem! Hi! We are going to be there Thurs -Sun and I reserved at Ariell’s Grotto and another’s day for Alladin’a Oasis. My kids are 1 & 3, on the reservation it asked for how many adults, I put 3 since the 1 year old won’t really eat or take up a seat. Will I have a problem getting set up in the reserved seating area if I don’t have a voucher for the the 1 year old? No. Children 2 and under don’t need vouchers. You’re all set! Hi Casey, avid reader and follower and had a quick question. Considering doing Wine Country WOC and/or Aladdin’s parade dining for my next trip but my children will be 10, 11, and 15. My younger two are both so picky and very light eaters… Can I get away with claiming them as “children” still and ordering from the kid’s menu? You should be ok for the 10 and 11 year old. I always recommend following the rules, but I also want your kids to eat. 🙂 Enjoy! Hello! 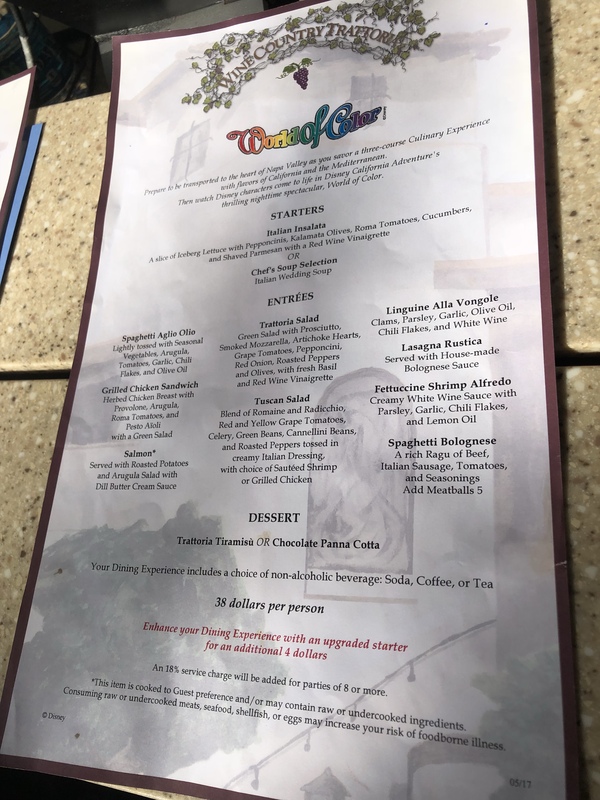 This might be a ridiculous question- but do you get to see the princesses at Ariel’s Grotto if doing the dining option for the World of Color, or do you only see the characters for the breakfast and lunch options? Than you in advance! Not ridiculous at all. You only see the princesses at the character meals – breakfast and lunch – not during the WOC dining package. Hope that helps! Yes it does. Thank you for responding- I was actually able to find my answer on another page of yours. Thank you for all the great info you have compiled, we are very excited and less overwhelmed with all your tips! Hi Casey! First of all, thank you so much for this website! As a WDW alum (and avid reader of Shannon’s companion site) I can’t send enough thanks your way for your planning websites! I am currently planning a May 2017 trip with 7 adults and 4 kids. When do they release the show times? Will they be released before I have to make my reservations? I want to make sure that I reserve the right dining time to align with the earlier show times as we have two 3-year-olds traveling with us. Or, do you have a best guess for what time the shows/fireworks will be? Thanks again! Regarding showtimes, Disneyland cuts it close to our slated 60 days out timing to make reservations. Often, we are closer to 50. (I know. It’s maddening.) Have an idea for what you want to reserve and look online at 60 days out to see if you can book. If you cannot book online, call the dining line to see if they are able to make reservations over the phone. Sometimes, the dining line can accomplish much more than what the website can. The phone number is (714) 781-DINE (3463). Call between 7:00 AM and 9:00 PM daily (Pacific Time). 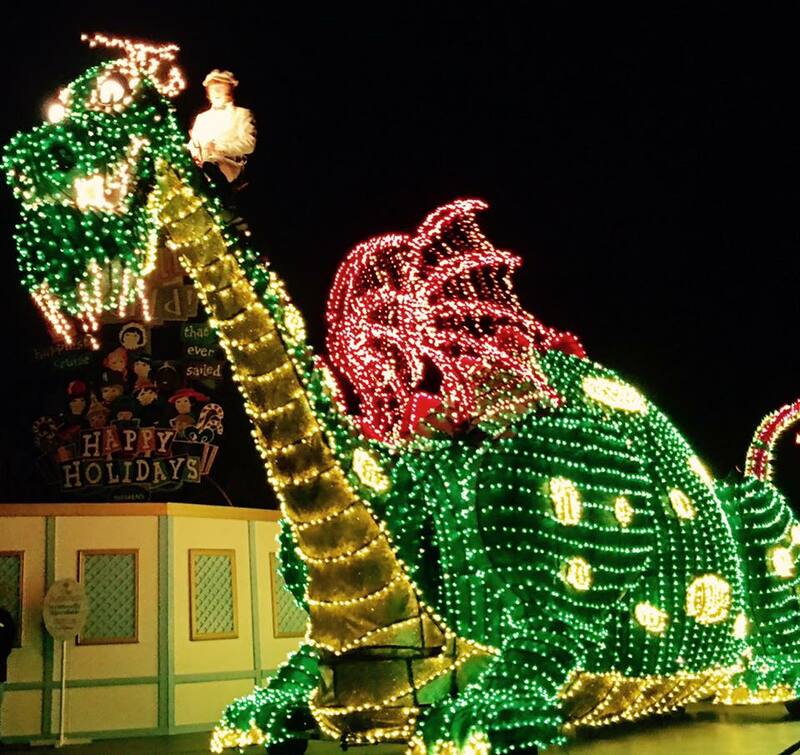 The Main Street Electrical Parade will be happening daily in May. 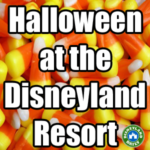 Weekdays include one parade at 7:00pm or 8:00pm. Weekends have two parades and look to be at 8:30pm and 10:30pm. This is what I see so far, so be sure to check as we get closer to your timing. Remember…..Dreams Come True Fireworks should be on when you’re there, too. That show typically falls between the two parades on the weekends, around 9:30pm. (I’m using what I’ve seen so far to advise, as both of these shows are new to Disneyland.) 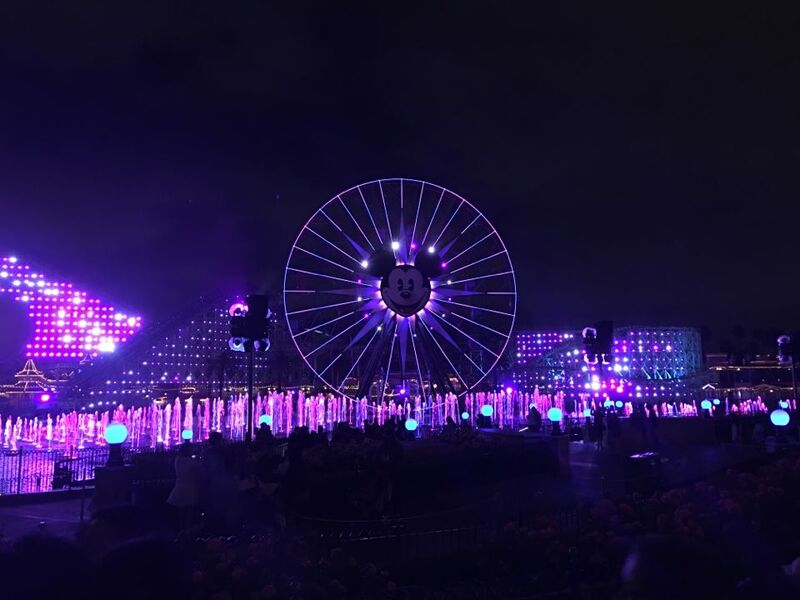 World of Color will likely have one show, around 9:30pm. Hope so much this helps! Feel free to contact me again if you have further questions. Great blog with a ton of info! 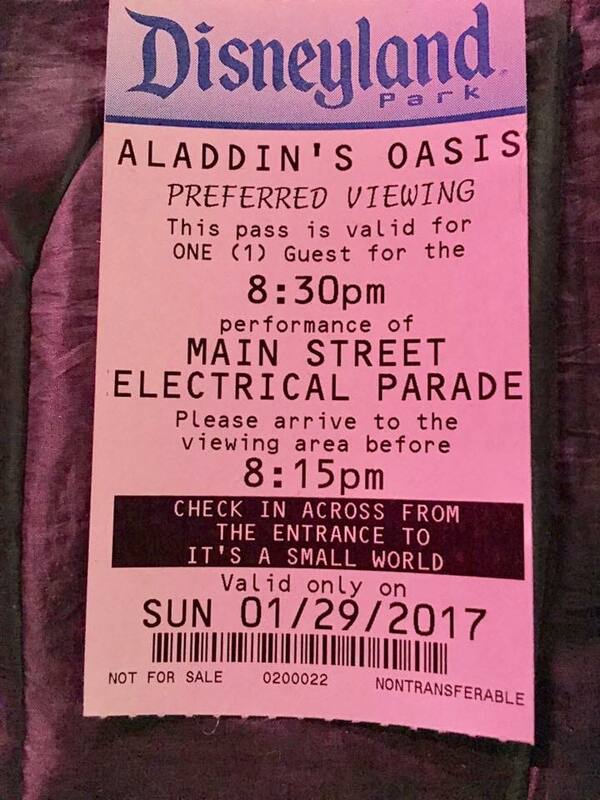 One question, maybe I missed it… With the Aladdin oasis package, I thought I had read elsewhere that there was seating for the parade or is it just the standing area like in your picture? No actual seating. It’s just a viewing area. You may sit on the ground if you get close enough to the front. But there are no chairs. Do you now if I have a 440 reservation for Blue Bayou on a night where Paint the Night is at 630- will I get a pass for the 630 parade or the later one? Call the dining line to confirm, as they vary on some nights. I’m pretty sure you’ll be at the later one, but confirm before you go. 714.781.DINE. This is a great update! Excited to visit next week. Do you happen to have a current copy of the Carthay WoC lunch menu? Thank you! Not currently. I post what I have on here because it changes seasonally and it’s not totally easy to keep up with. If I can get an update, I’ll post it here. Awesome news Casey, booked the dinner for the Friday 16th – without your updates i would have missed it – you have been a great travel resource. 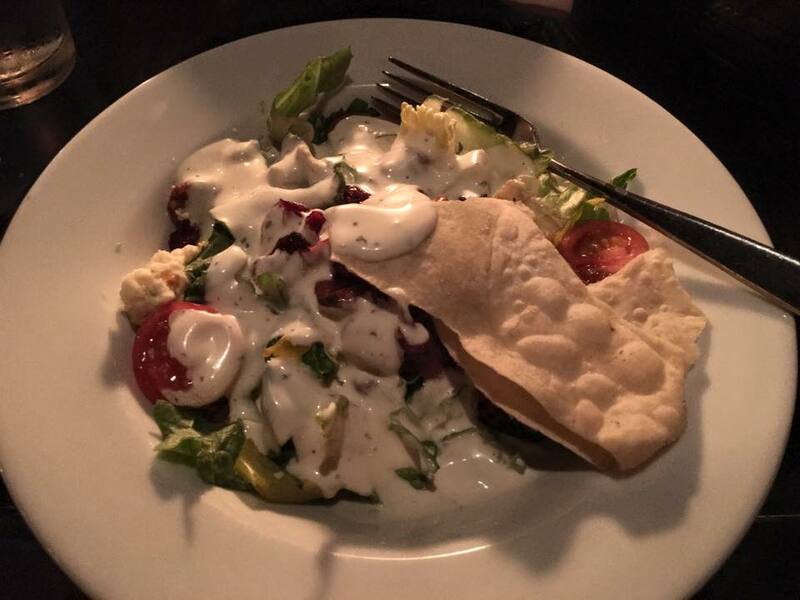 Quick question – is a 4.40 dinner time enough time to get to the 6.30 show ? I have this same question? We have PTN BB on Jan. 1st at 4:20. Seems like a stretch. What time is your PTN parade? Rides will be a little less busy with so many people at the parade. But they’re also less busy as the night progresses. Hope you have a great time! 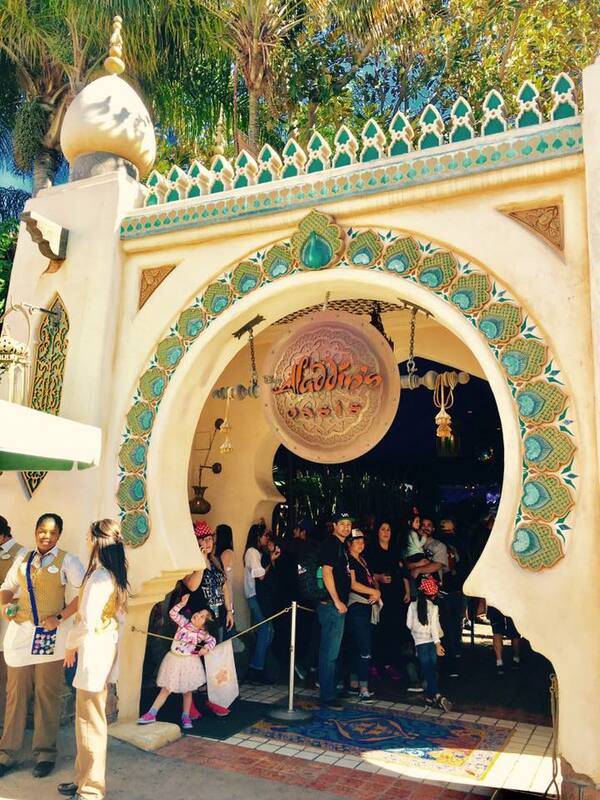 Is Aladdin’s PTN On-the-Go option something you can reserve in advance, or walk-up only? And if it’s walk-up only, how limited is the availability? It will likely be all sold out for the limited release of PTN. Definitely make reservations to ensure your spot. I only asked because a few minutes ago the online reservations page wasn’t up, but now I see that it is. Thanks for your help and great website Casey! I wouldn’t trust that. I would make a new reservation. There was no warning about this coming. I know they’re working hard to get it right. Try to make another. If not, keep this one and make notes of who you spoke to and when to reference if they give you a hard time the day of your meal. Do they still have the dining packages at Disneyland? I’m not seeing aladdins oasis or anything at Blue Bayou on the website. We had them for PTN. Waiting to see if they return with the parade’s return. I’ll update this post if they do. I notice this post was just updated today. 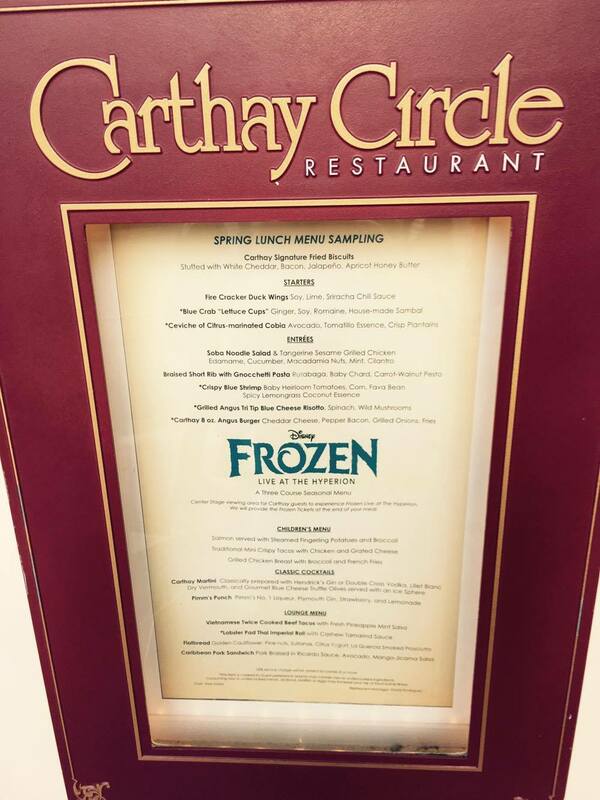 Does this mean the Frozen Carthay Circle Lunch package back and available again? It is! It’s gone back and forth and the pre-show is gone for good, but the lovely lunch is back in place. Recommend! Please let me know what questions you have. Happy to help. My family and I would just like to thank you so much for all your insight! 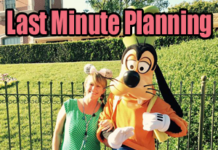 I used your site for all my Disneyland planning for our trip last month. We made a reservation for the 10 of us at Aladdin’s Oasis and my goodness was it absolutely worth it. We made reservations for 1:00pm and we were over an hour late! But it was not a problem and they were happy to accommodate our group and take our orders and get us in. Aladdin and Genie were right near the entrance and the kids took pictures as we went into the outside seating area to get our table. It was a very warm summer day but we had large table in the shade away from the crowds and it was indeed an oasis. The food came quickly and we all enjoyed our meals. There are few options but even our pickiest little eater finished his Mac and cheese with roll. It was nice to eat something besides all the delicious junk food we continued to eat the rest of the day after the oasis! Genie and Aladdin were in and out of the restaurant and were so fun to interact with while we ate with the family. So around 7:00pm we made our way to It’s a Small World. We rode the ride and while half the group went into ToonTown, we went to the reserved Paint the Night parade area. They let us in at 7:50pm and we claimed our spots right at the front near the bricks and waited for the rest of our group. The parade was amazing! The area was spacious, no crowding. It was worth it, 100%! We stayed in the same area for the Disneyland Forever fireworks show which is hands down the best fireworks display we have seen! So beautiful! Thank you so much for all the details and info, we couldn’t have done DL without you!! So glad you had a successful visit. Can’t say enough good about Aladdin’s Oasis. Great price and fantastic experience!!!! We are looking at booking the World of Colour Dinner package for Monday at end of September for the five of us (2 adults and 3 kids). I see that the show starts at 8.15pm. Even with our preferred voucher for dining what time should we get to get good spots? Trying to decide what time to eat at Tratorria – the latest time seems to be 6pm. Would 6pm give us enough time to eat and get there for a good spot or should we eat earlier? You should arrive about an hour prior to showtime for WOC. 6pm sounds fine, but you can dine at anytime. You’ll receive FASTPASSES for your viewing area, when you pay your bill, so you can return whenever you wish. Thanks Casey! Were keen to go back for a swim at hotel before coming back for the evening which is why was going to make it dinner. So if we have a booking at 6pm is the service fairly quick that we will be out of there in one hour so we can start walking towards WOC to be there by 7.15pm. Otherwise perhaps we should eat at 5.30pm if not enough time to eat. Just curious that if we got a FP instead (as we have early magic hours staying at a Disney resort and could therefore get one easily) would it be one hour prior as well to get a good spot. Not sure if we are gaining much by paying for the dinner then? 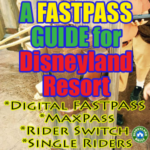 You’ll need more time with just a FASTPASS. I recommend at least 1.5 hours with the blue pass. The dining pass is much easier. I would do 5:30pm just to be safe. So you are not rushed at all. Wonderful, thank you for your advice! Hi Casey! Your website is amazing! Thanks for all the helpful tips! We are planning to eat “lunch” at Aladdin’s Oasis and get tickets to the earlier parade. Do you know what time frame is considered “lunch.” I’d like to pick up food around 2pm but don’t want to end up with tickets to the later parades. My kiddos will be long gone by then! Usually around 4pm. They will ask you at the time you pay. Enjoy. Love it! We’re going to be visiting again this month, and I am really interested in the Frozen dining package + pre-show. However, I’m a little confused by how to time it. Is it possible to get the lunch / pre-show package for the 1:35 show, and if so, when would we need to be at the pre-show? Hi, there. Thank you for your kind words! Each day, the Frozen Pre-Show differs a bit. I highly recommend calling to set up your time because the cast member can then walk you through your options on timing and how the meal will work with the show you want. Call (714) 781-DINE (3463) between 7:00 AM and 9:00 PM daily (Pacific Time). I will be in the parks 9/2-9/4 participating in the DL Half. This is our first visit to DLR. Seeing PTN was very high on list and even more so now that it is closing on the 5th. I fear the crowds are going to be even higher during this weekend due to the announcements of closures. I booked the Aladdin’s Oasis dinner package for PTN on 9/2. It is for the 2nd showing of PTN (10:45). It is just DH and I. I would prefer to see Disneyland Forever from Main Street as opposed to Small World area. 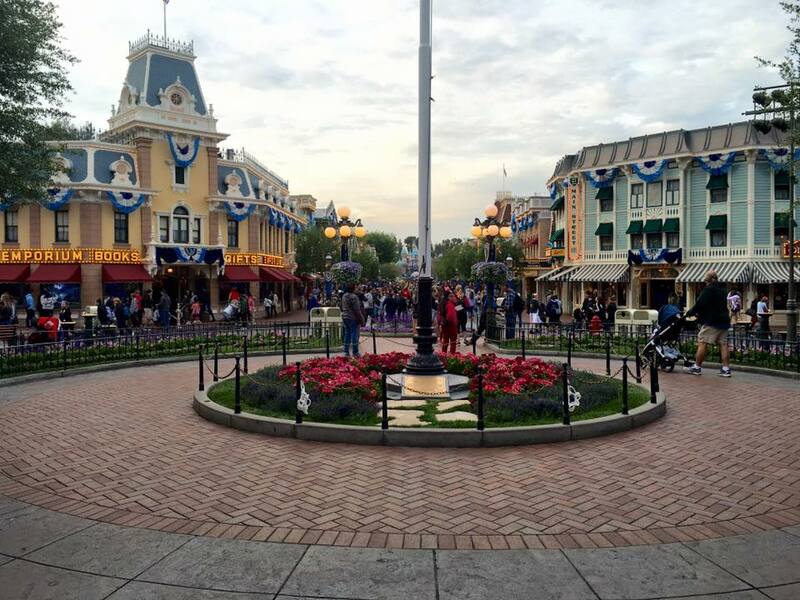 Do you think it is possible to be somewhere on Main Street for the fireworks at 9:30 and then make it to AO reserved area for the 10:45 PTN? If so, where should we try to be standing for fireworks? 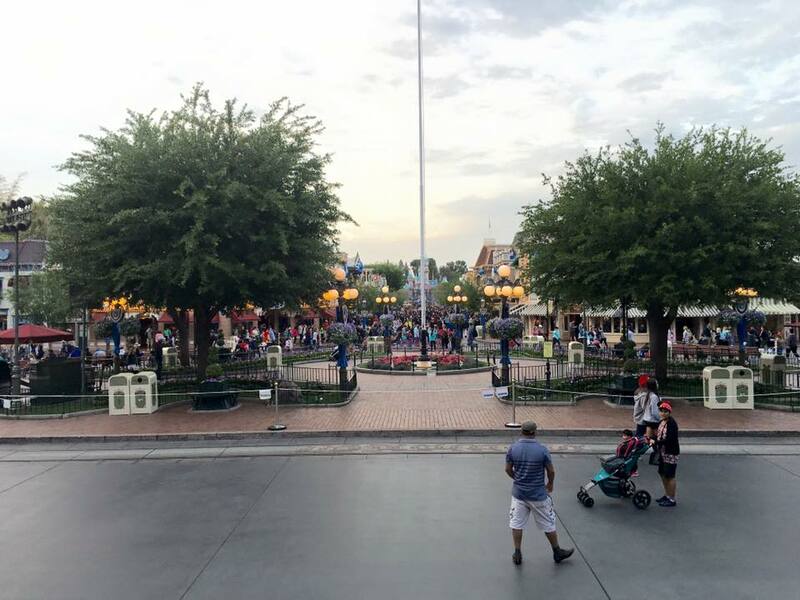 If not, would you cancel the dinner package and try to get the best spot possible on Main Street after the fireworks for PTN or keep the dinner package and watch the fireworks from an area closer to the AO PTN area? You can absolutely see the fireworks at 9:30pm and then enjoy the AO section for PTN at 10:45pm. 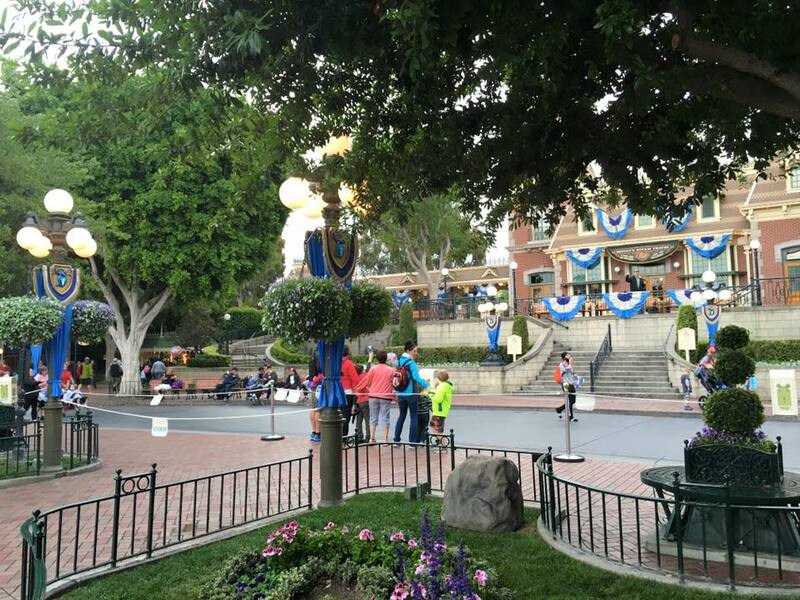 I would stand somewhere mid-way through Main Street – perhaps near Candy Palace – to watch Disneyland Forever. That gives you a great view of the projections and then a peek at the castle, too. As the show is nearing the end, start inching your way over to the right side of Main so that you can jump on the sidewalk to get out of that area quickly and en route to it’s a small world to get the best spot possible for PTN. Enjoy them both! Thank you so much Casey! I have learned so much from your site and I am looking forward to my first visit to DLR! Your pictures are great and you definitely inspired my planned park attire. Keep up the great work!! I can’t thank you enough for this review and the info. 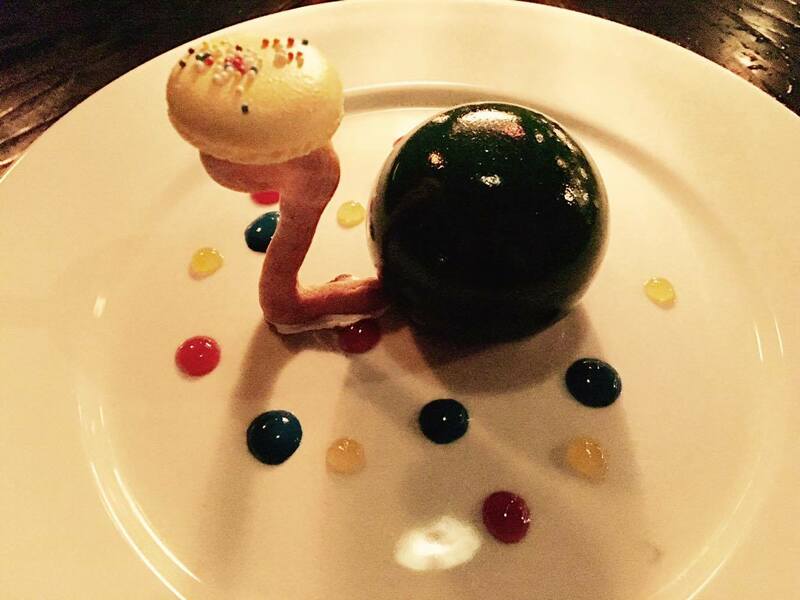 First, I had no idea they were doing the dessert party at CA. Second, it was really helpful to see where the viewing areas are for the parade before committing. This info is invaluable! Thanks again!! Glad I could help! Thanks for your kind words. Casey, can’t thank you enough for the wealth of information you’ve provided! Our family is so excited for our first DLR/Southern California Adventure in 2.5 wks. After reading your post I am torn between Plaza Inn Fried Chicken & Aladdin on the Go for dinner before parade and fireworks. What would you do? We only have 1 day at each park and are WDW vets. Which is more unique to DL? I’m a huge fan of both, but Aladdin’s Oasis incorporates both the meal and the parade viewing, so I totally vote for that. The experience is awesome. Arrive an hour prior to when they tell you to so that you can get in line to get first place. Enjoy it! I was just wondering, do you have any insight into whether World of Colour Celebrate! will revert back to the original (and in my opinion better) version after the 5th September? Haven’t heard official word. Anxious to know! I’ll post on Facebook.com/DLRPrepSchool as soon as I do. Yes, the second parade starts at the front of the park, just outside Town Square, near Mad Hatter. 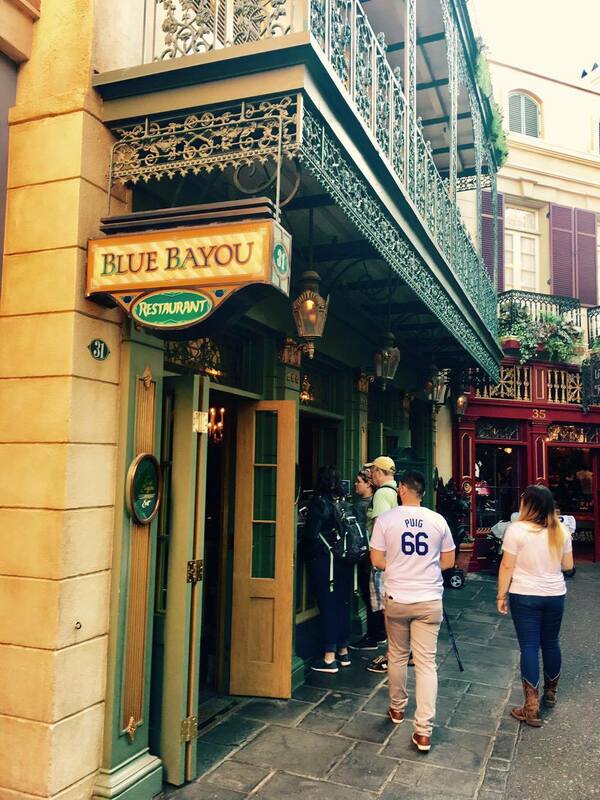 With the Blue Bayou package, you’ll be set up near the train station. It’s fun! Fireworks typically start at 9:30pm (check the schedule to confirm for your date), so you’ll have enough time to eat and then grab a spot on Main Street. It will be crowded, but you can walk from Blue Bayou and then work your way onto Main to find a spot. You’ll be fine with your timing if you intend to watch mid-way down Main. For up-close castle views, people set up HOURS before, but I don’t recommend doing so. 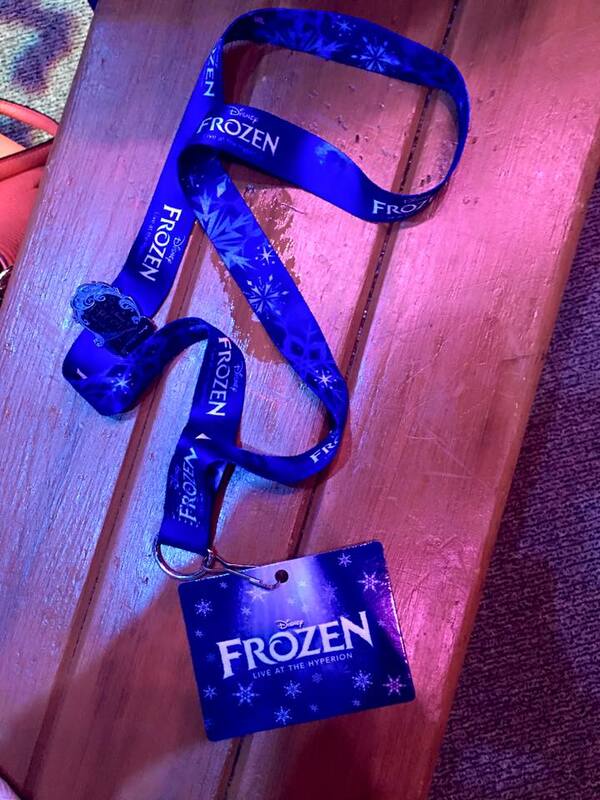 Thanks so much for this info on the Frozen Pre-Show Package! We are traveling to Disneyland Sunday August 28 – Wednesday August 31 (Sunday, Monday, Tuesday in the park). We want to see the Frozen show, and my biggest priority is to keep waiting in line time down as much as possible for my 4-year old. The Pre-Show seems like a good option for that reason. However, I am trying to save money, so I was wondering if this plan would work: make an afternoon reservation for a Tuesday Pre-Show. On Monday, scope out the FastPass lines and see how long they are. If the lines are relatively short, cancel the Pre-Show (within 24 hours), and then on Tuesday morning grab a FastPass. If the lines are long, keep the Pre-Show. Does that make sense? Do you think this is a good plan? I would love your advice! Well, there are two catches. First, you have to pre-pay, in full, for the Pre-Show packages. And, it takes several days to get that credit back if you decide to cancel. I would also be a little nervous about being at the park and cancelling from there. You could get busy or distracted, etc. Wonderful advice. I have booked a Disneyland resort package for 12/31/16-1/1/2017 for my 30th Birthday. Forsure I am booking the Blu Bayou for my birthday dinner. Will this work even on New Year’s Eve? Hard to tell this far out, but as long as they’re hosting the parade and offering packages, it should work. Sounds like a great way to celebrate your birthday! 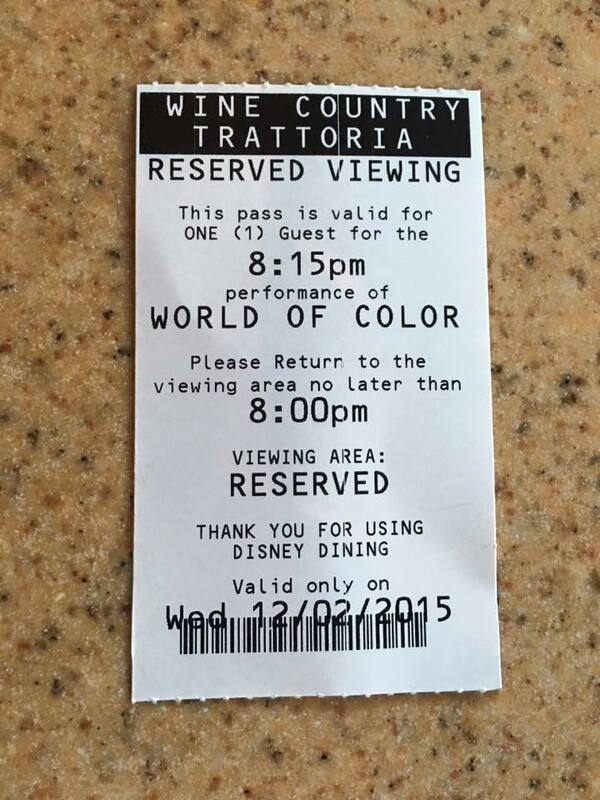 If I choose lunch at Carthay Circle, do I get the same World of Color tickets as if I chose dinner? Also, how much time in advance of show start time do we have to head to the Preferred area if we choose the Carthay Circle dining and have those tickets? I have some very impatient kids and waiting for an hour before show start is too long. Hi, John. All WOC tickets are the same, meaning you all have access to the same spot. If there are two WOC shows, lunch will get you in the earlier show. Dinner will get you in the later one. The viewing area is excellent and I’ve had good luck with arriving just before showtime and getting a good spot. I recommend arriving earlier to ensure you get the place you want, but this is one option where you don’t absolutely have to. Thanks for the quick reply! I love how informative you are with this site! One last question if you don’t mind. As far as Aladdin’s Oasis goes, is that a sit down dining place where you have to make reservations to get Paint the Night tickets? 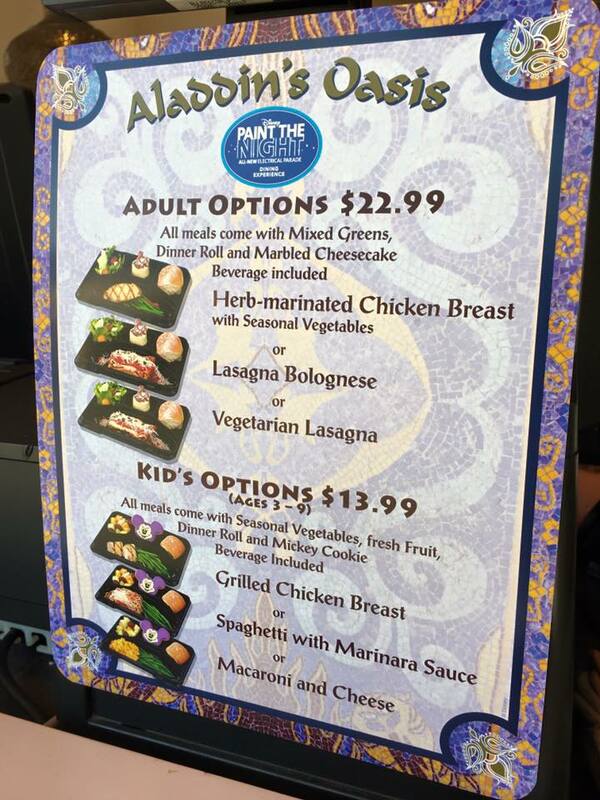 Looking at the DL dining page, Aladdin’s Oasis is not listed like all the other restaurants. The closest thing I can find is “Paint the Night packages” and “Paint the Night on the go”. So do I have to make reservations like any other DL restaurant? Or is it more like a normal food stand where I can just walk up and order and automatically get tickets? Thanks in advance for your insight! Aladdin’s Oasis is a grab and go option for the Paint the Night packages. You may dine there at the location or take the food with you, as it is wrapped up to go. Lots of photos of it in this post. I recommend having reservations, but you can often walk up and get them the day of. The Blue Bayou prices don’t seem to have changed from the Fantasmic package to the Paint the Night package but the Fantasmic package included a souvenir cushion. I’m assuming since you have to stand for Paint the Night that they aren’t including a cushion. Is that correct? I’m debating our upcoming trip options as we’re trying to splurge only one night so that means choosing between Blue Bayou and Carthay Circle. No cushion this time. 🙁 Still fun! Hi! I am considering doing the blue bayou package for PTN on a Tuesday in August. I have 4 little kids. 2 will be in a double jogging stroller. How realistic is it for the 6 of us to quickly move up & get a good spot on Main Street where you can see the fireworks, nemo, tinker bell, projections & everything else after PTN? Does the street get jam packed right away where we won’t be able to move up very far? I am considering Aladdin too but really really want to eat at BB & see the fireworks from Main Street as I have heard that is the best spot! Thanks!! It will be rather difficult to maneuver from the BB section up toward Main Street, but it’s not impossible. Jump into the parade route and follow after the Sorcerer Mickey float until the parade ends. Then, pass the Showcase Store on your right and move into Main as quickly as possible. You can do it! Hi Casey – thanks so much for all the wonderful info on your site. My family are visiting from 25th July with 3 day park hopper passes. We’re from Australia – our first time overseas and disneyland is dream for us! And wow – I never realised the need to plan for the visit in such detail in advance – so a great resource. A quick question about the preferred viewing for shows – how do you know which colour area you are allocated to? I’ve read through several times and may have missed that sorry – but can you please explain which dining packages go with which viewing areas. Also if you pull a fastpass for world of colour – where exactly do you go to watch this – is it the same preferred viewing areas? Thank you! There’s a map about mid-way through this post noting where the locations are. Ariel’s Grotto and Wine Country share the same section and Carthay Circle has its own. Carthay is the best and is in the middle of everything. Carthay is in the green, just in front of the yellow circle. 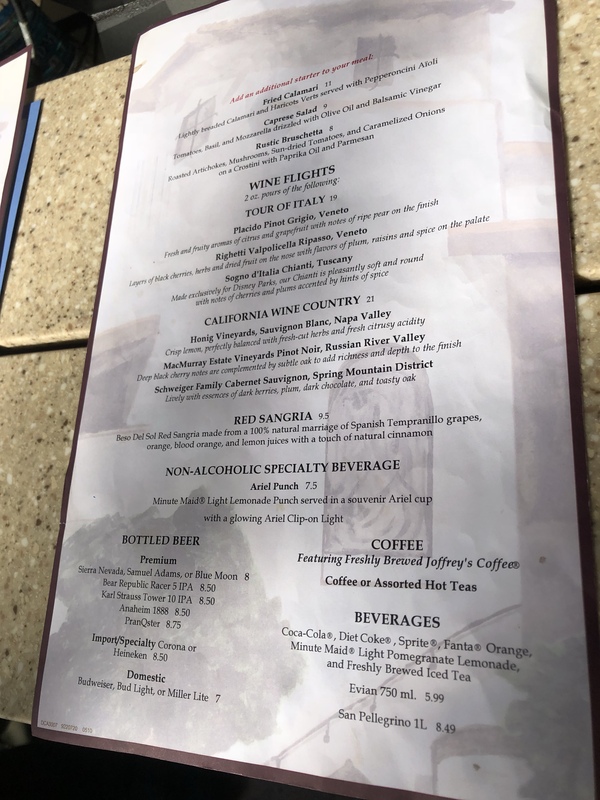 Wine Country and Ariel’s is closer to the water and technically to the show, however the area is tiered, so Carthay puts you above the others, making it easier to see. Blue, yellow and red make up the space that a FASTPASS will hold for you. I know there is a lot to cover. Please let me know what other questions you have. Happy to help! Hi! Thank you so much for this post (and so many of your others!). We are planning a quick DL/CA trip in a couple of weeks to celebrate our boys’ bdays. I’ve booked and re-booked so many meals trying to figure out what we want to do. We only have 1 day at DL. Top of our list is Star Wars for our 9 year old (we must get Jedi Training without Magic Morning – eek!) and meeting Mickey for the 2 year old. We realize how imperative the early morning is in the park, so I’m wondering if you think Minnie’s Breakfast at the Plaza is worth sacrificing valuable park time for? 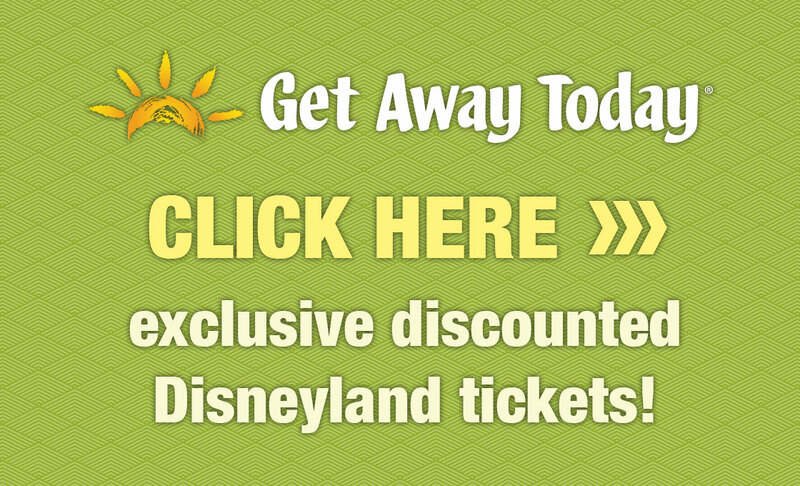 If we meet Mickey there, it would be worth it (then we could take toontown off of our list). We’ve done Goofy’s Kitchen the past two visits on our departing morning and thought we’d do it again until I read this post … I’ve changed our reservation to PCH. So, is Minnie’s worth it? Or should we just stick with 1 character breakfast at PCH and utilize that valuable morning park time? I’ve read this post probably a dozen times, trying to decide which options we want for our July trip, but I can’t make up my mind! I even had DH read it, and he couldn’t decide either. I wanted to ask you which packages you recommend for each event. 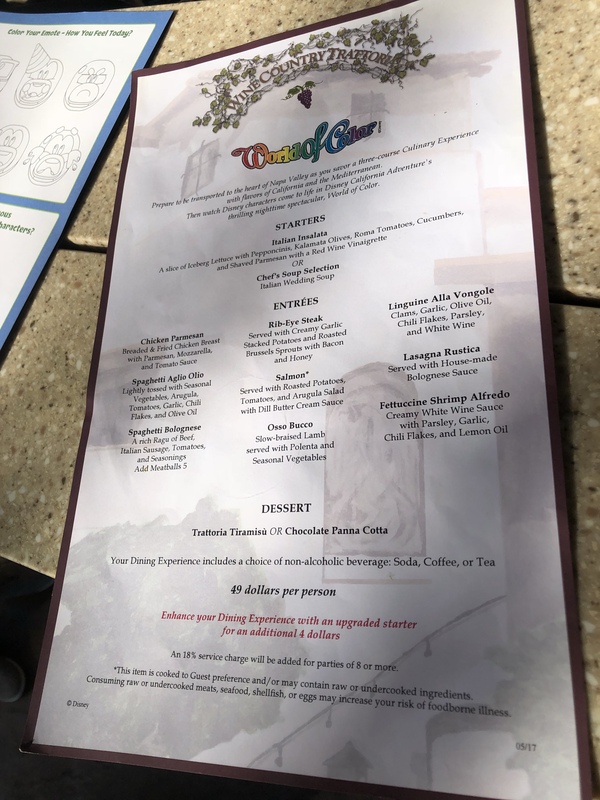 We went in October of last year, and did Ariel’s Grotto, so we want to try something different this time – is Carthay Circle worth the cost over WCT? 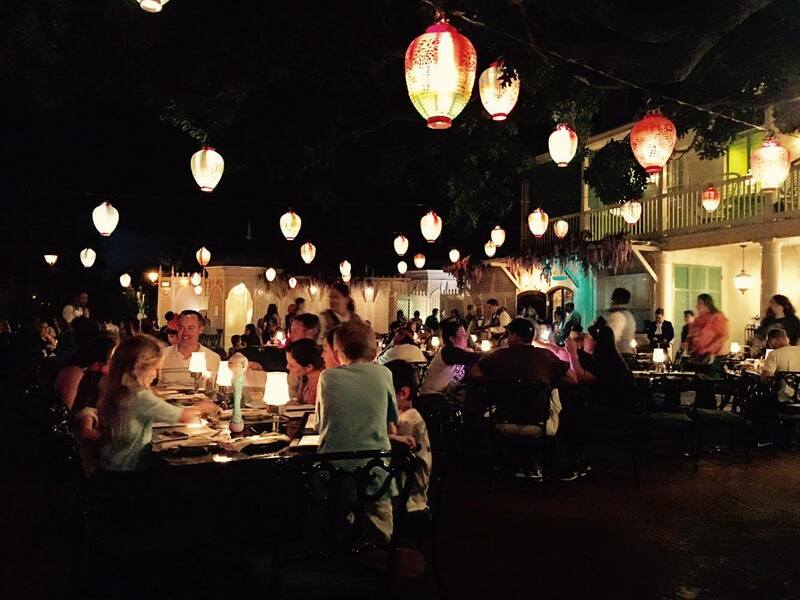 How about Blue Bayou over Aladdin’s (I know they are totally different experiences…)? It’s just DH and myself – we saw WOC when we were there in Oct, but didn’t catch the parade and the fireworks like the good Disney fanatics we are, haha. Just curious about your opinion on how they compare. Thanks in advance! I love Blue Bayou and Aladdin’s Oasis. I actually prefer OA because of the viewing area. But you have to be ok with no castle view. Go with Carthay Circle. Lovely meal and great view!!!! Thanks so much, Casey! I think we are going to go with Carthay Circle and Aladdin’s – we are totally okay with no castle view – especially with the projections showing on Small World. We just did the Aladdin’s Oasis Paint the Night last Wednesday. Thank you so much for the advice. We never would have known this was available. It was great. Food was good and eating in the restaurant was a very nice and peaceful way to relax. Saw Aladdin, Genie, and Jasmine walk through. Good spot at IASW for parade and fireworks. Got to parade location about 40 minutes early and front row spots were taken by the time we were admitted, but stood in the second elevated area and leaned against the gate that had a small ledge that small children could stand on to see parade. Plenty of room. I would definitely recommend this for lunch and viewing. So glad to know this! I love that option so much. We are heading there on the 30th November but am I reading that the Fantasmic show is no longer on? We were looking at the BB dinner package but now not sure? My kiddies are 6 and 8 and its our first trip. Hi, Bonnie! Fantasmic! is on hiatus during the rerouting of the Rivers of America and train tracks for Star Wars Land. Blue Bayou is a ton of fun. Aladdin’s Oasis, too. You can’t go wrong with either! Wow!! This is fantastic. This is exactly the information I was looking for but couldn’t find anywhere. I almost booked a reservation at Ariel’s Grotto thinking we would get to see the show during our meal…so glad I found your post first! Let me know what other help you need. Great information. Just wanted to say thank you! 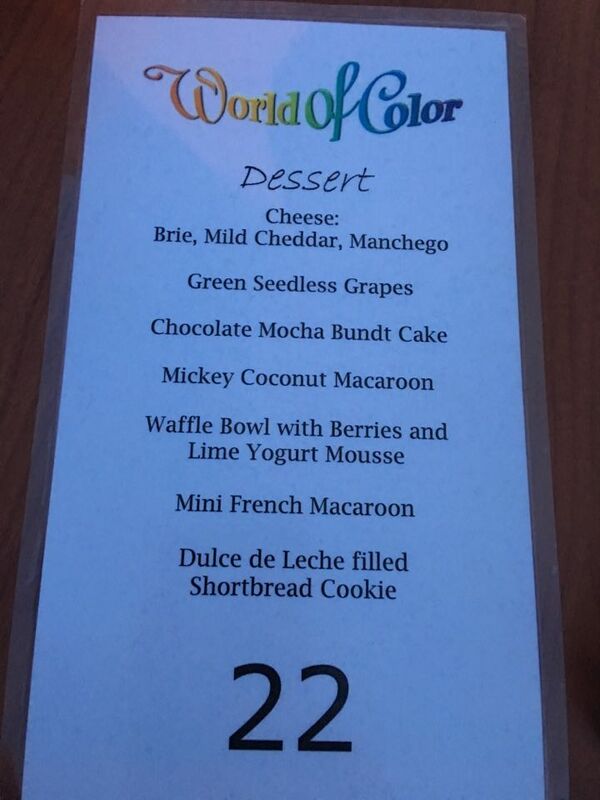 I usually feel like I’m pretty “up”on everything but had not heard anything about the World of Color Dessert Package. We used to do the Fantasmic! balcony seating as a splurge when it was offered but this would be a double or triple splurge – but still thinking about it for a special occasion. It will be interesting to see what they offer when Fantasmic! returns. I’m anxious to know, too! •	Any recommendation for food when we arrive on 5/2. We don’t’ have tickets to parks until 5/3, so somewhere nearby would be great (it’s okay if it’s pricey). Maybe dinner with a character. Not sure if there is anything that is available do late in the game. Hi, Elena! I’m so sorry I’m just getting this. Aladdin’s Oasis is my favorite for Paint the Night for sure. I hope you enjoy your visit! Hi – we are heading to Disneyland from May 8 – 12. We always go during off peak times so generally don’t have an issue with finding a parade spot but like the idea of getting the reserved seats! If we do Aladdin’s oasis and end up in a small world, is it hard to evacuate out of there for the fireworks? Our little girl sometimes wants to leave when the fireworks start. Thanks in advance!!! Hi, Shannon. it’s a small world is far from the entrance. It’s tucked back in the park near Toontown. If you want to skip fireworks, I recommend doing the Blue Bayou option instead, as that reserved viewing area is right by the main entrance. Have you considered ear plugs? You can buy them ahead of time, of course, but if you forget, the baby center has them (most of the time). That may help with the noise if that is your issue. Enjoy! Lunch WOC typically gives you the passes for the earlier show if there are two. You can call the dining line phone number in this post just to be sure. I LOVE Aladdin’s Oasis. Such an awesome value. Recommend. And happy anniversary! I have not done it yet. Hope to soon! I’ll add it to this post and share my experience on Facebook, too, when I do. I hear the seating is great! 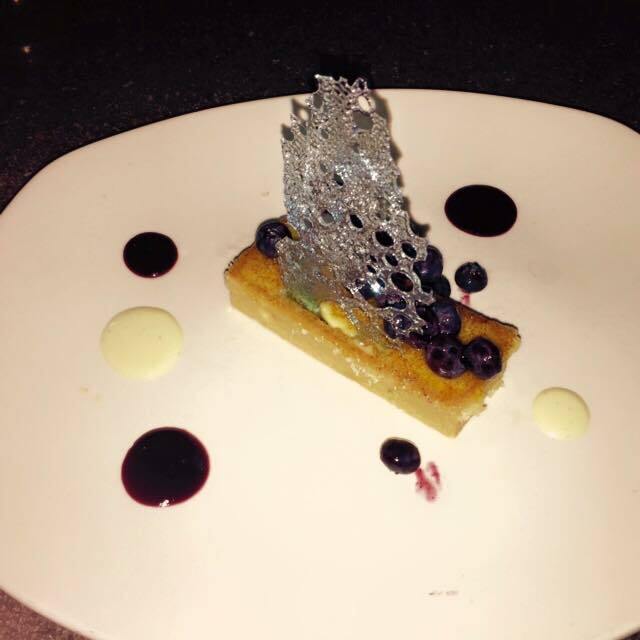 This has been the most helpful post on show dining expierences!! Thanks for posting the menus too! My fiancé can be picky on food, so we’ve always hesitated on booking a show dinner reservation since we can’t find current menus. At least now we have something recent to look at 🙂 How often do you update menu photos from your trips? Or how often do they change? Thanks!! You will order your food when you arrive. And your reservation time is the time you should pick up your food – just like any other reservation. Because there is a seating area, they treat the reservations according to a regular restaurant’s protocol. 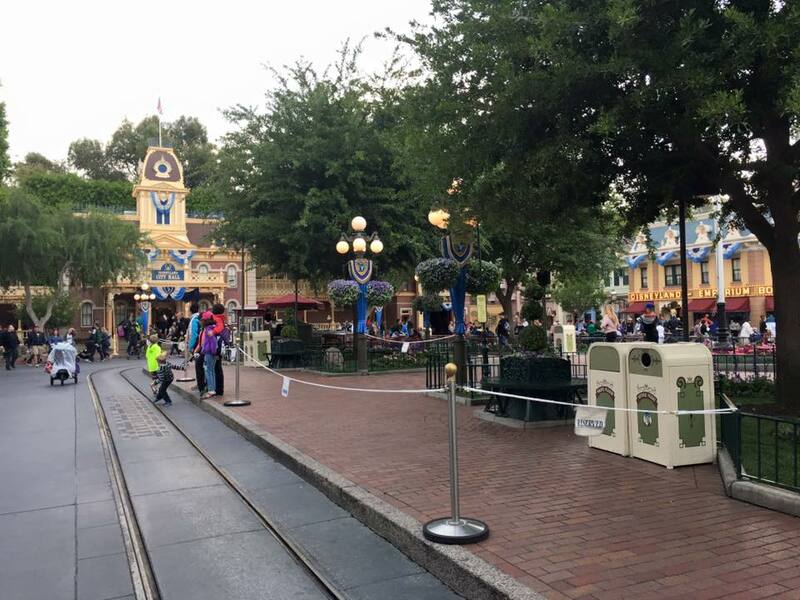 I’ve been reading reports that the Blue Bayou PTN viewing area has been moved from Main Street to near the train station – in fact, some reports say FACING the train station. We have BB package booked, but plan to cancel if this is, in fact, still the case next month during our trip. Please let us know if you find any updates on this! Thanks! I’ll check into this on my visit this week and will report back on Facebook.com/dlrprepschool and amend this post if it changed. Thanks for the tip! Thanks for everything you do! If they keep the new BB viewing area, we plan to do Aladdin’s instead, so thanks for your detailed review on that, too! I also forgot to ask, what are the childrens options for WCT? 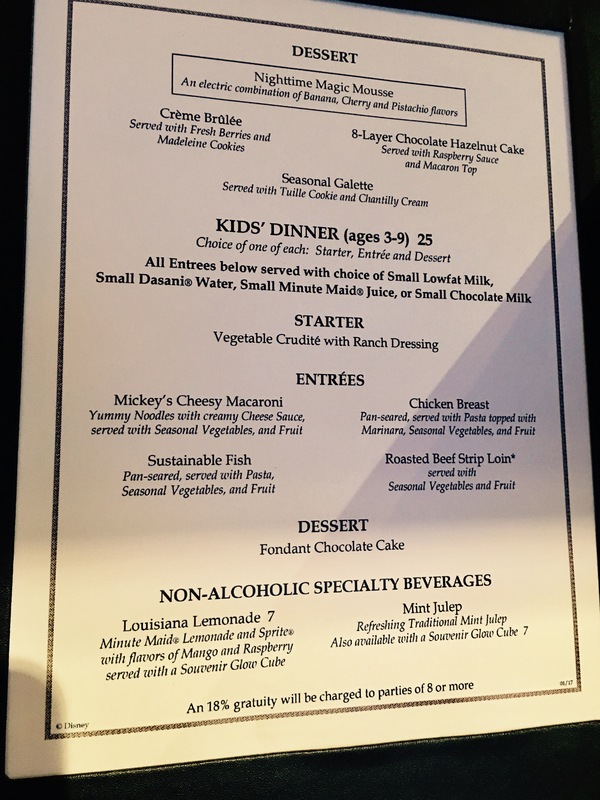 Do they choose from the adult menu, or is it a separate menu and you just didn’t get one? I’m sorry. Didn’t get a pic of the menu. There is a children’s menu. Hi there. Thanks so much for the detailed info. 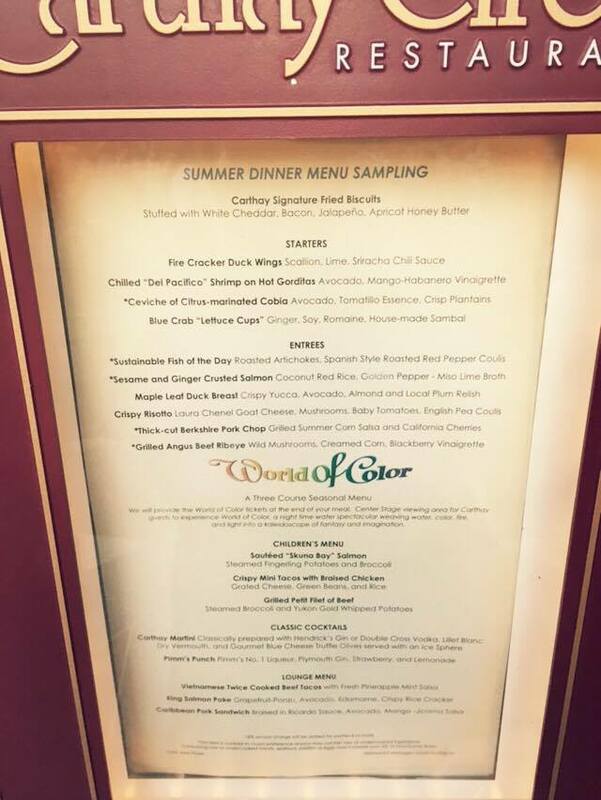 You are the only place I have found the menu and pricing for the PTN packages, and the menus for the WOC. 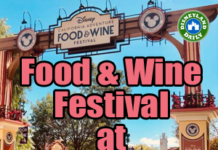 We have booked Wine Country Trattoria lunch for WOC, but I am on the fence about which to do for PTN. I mean, do I save 150 bucks, or do I splurge? If you were me, with a 7 month old, and 4 and 5 year old, which do you think would be the better choice? Not worried about the kids being behaved, and they would like the food at BB better I believe, but I want the BEST viewing of the parade without having to wait for it, and as far as the fireworks, I don’t want my kids being trampled since we will be there on Grad night. I’m so confused!! My heart tells me BB but my head says stick to Aladdin’s, because it will be less crowded near IASW. Help! I think Aladdin’s is so perfectly suited for young children. You have room for kids to play while you wait and you’re not squeezed into a small space on Main Street. Aladdin has my vote! Awesome, thank you. Booking tomorrow! I can’t believe it’s 60 days away!!! Thank you for your article, it helps very much! 1) do you Know if the Prices you mentioned still the Same in 2016? And is the Tax included ? For Example Arielles Grotto $48.58 , does it include the Tax? 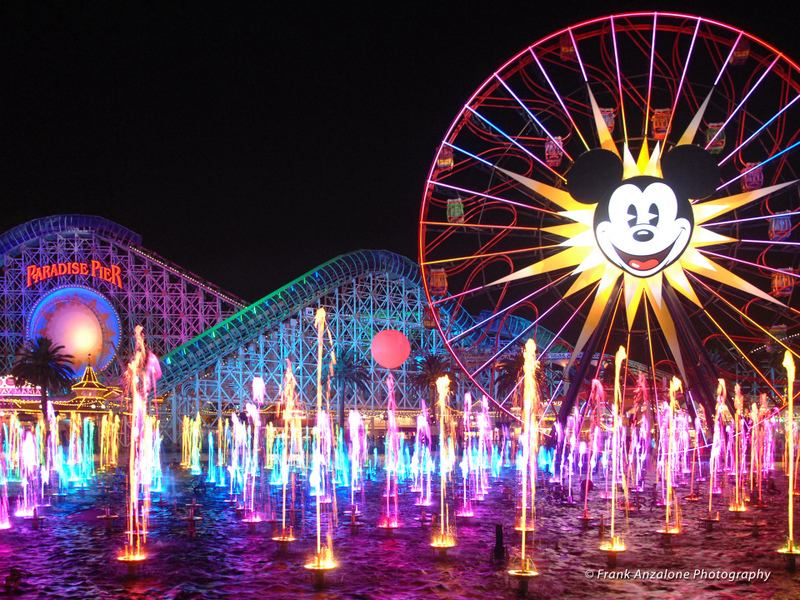 3) which Package for World of Color would you prefer? We (my parents and I , 19 years old) carthay circle Dinner is too expensive for us. So would eat at Wine Country or Arielles Grotto ? It’s our First and Maybe our Last Trip to disneyland. We are from Germany and I would be very thankful if you answer my questions , exspecially with the Tax ? i ask this because the Tax is always included in Germany? Tax should not be included, but the pricing there should be up to date. I do my best to keep them current. Wine Country Trattoria is lovely. I recommend it over Ariel’s. I believe that sentence means that the charge included is for the show and each individual dining will be able to enjoy the show. Hope this helps! 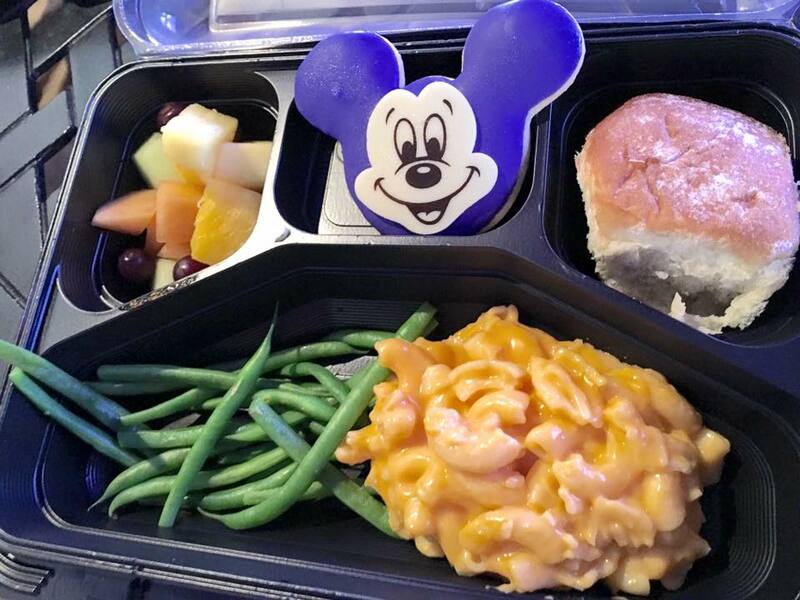 We just booked the blue bayou paint the night package and are excited for the adult meal options. However, we are going with our picky 2 year old. Technically the kids meal of $25 is for kids aged 3-9. Would we have to pay for the$25 meal? He will not be interested in eating anything from that kids meal. Could we order something else for him? (Such as fries or nuggets?) He eats so little and would not be worth spending $25 on. Since he’s so young is there a provision for this considering it’s a prix fix kind of deal? You do not have to order a meal for him. He will be allowed in the restaurant to dine and the viewing area without a pass because he’s 2. You can ask to order off the regular menu if something works for him. Or bring in something you know he will eat. Yes. Earlier dining reservations (lunch) will receive the passes for the earlier show. So plan on dining here earlier to get that timing. Both are good! We will be there in early August with 3 children (ages 4, 6, and 2 months). The Aladin option looks good for us. We would do reservations for lunch or an early dinner and then get the pass? Planning to get a fast pass for World of Color since those packages are out of our price zone. We’ve done Disney many times but haven’t been since 2006. Did do WDW in 2010. 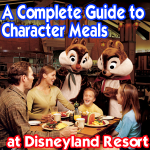 We also plan to do a character breakfast on the day we head home at one of the hotels. Regardless of which time you choose to dine, you will get the pass for reserved viewing after you pay for your meal. It’s a great experience!!!!! Hope you enjoy it. Now that I’ve read more would it be to our benefit to do lunch at Wine Country Tratoria over just getting a fast pass. We will be there in August, very crowded, and I want to make sure it’s not too stressful with a 2 month old, 4 year old, and 6 year old. What is the children’s menu for the lunch? I saw the adult and it looks delicious. Similar to an Italian restaurant we have here in Puyallup near Pacific Lutheran University. Was already planning on doing the Aladdin lunch over in Disneyland on a different day. We will have 4 days total for both parks from July 31 to August 3, with non park hopping tickets although we may upgrade for the last day. Doing a Disney breakfast on the 4th before we leave over at Paradise Pier. We are driving down from Washington, doing the coast on the way down. I kept forgetting I will have Disney rewards dollars to spend from our Disney card. We’d have enough to cover for two adults and two kids. If I go again, I’ll ask for the kids menu. Sorry! I found it online somewhere. Odd question. My cousin who will be 18 is a picky eater. Do you think they’d let her pay the adult price but get the kids meal? They absolutely might. As long as she pays the adult price. Can’t hurt to ask. Do you think getting a fast pass first thing for WOC would be just as good as the dining package with the resrved seating? No. The dining packages have much better viewing areas. If it’s in your budget, I recommend doing the dining packages. Much less wait time too. We’ll be on our first DL trip in early August with our two girls ages 3 and 7. Would it make sense to get the Aladdin’s Oasis PTN reservation for 5:30 and take it to the viewing area to eat, or would it be better to just use the reservation for lunch since it’s across the park? We’re a WDW family, so I really have no idea what the park size is like and the actual distance between the two areas! Once we’re in the reserved viewing area, can someone just leave and bring back food? In my post, I asked about getting a reservation for 5:30…I probably should have said “1 1/2 hours before the parade time” since the start time is probably seasonal. I believe Aladdin’s latest option is 4pm. So use this as a lunch and the find something else for dinner. Yes. People can go to and felt the viewing area to get food. This is great! Thanks for all your info. I’m going Tuesday or Thursday this week with my son to Disneyland and hope to stay for Paint the Night. Does it always start near Small World if there’s only one show per night? 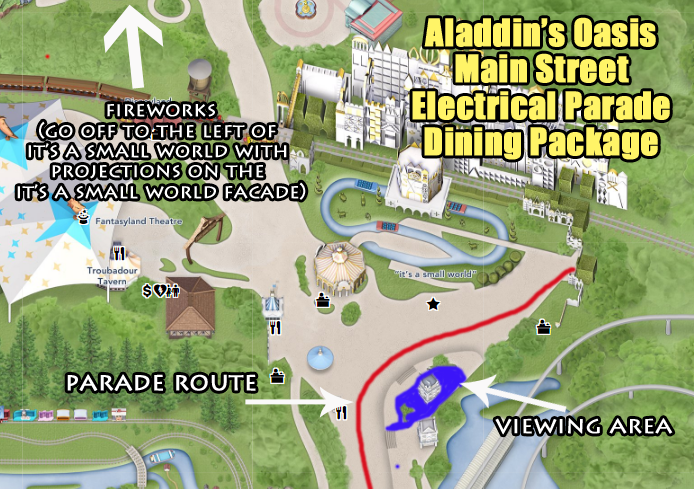 If we do the Aladdin dining option, watch the parade near Small World, do you think we could then walk down toward Main Street and catch the Fireworks/Snow there? Yes you may. It starts near small world, so you will have time to walk to the castle before the parade finishes. It’s so fun. Enjoy! First timer here. I was wondering how long it takes to walk from downtown to main st to view the paint the night parade? We have a 530 reservation at catal on 2/13. Thanks and thanks for all the great info. We are so excited. So we’ve already booked 2 character meals & Aladdin’s/PTN for our 4 day DL trip 2/1-2/4. Do you think I can get get away with aiming to get a WOC FastPass instead of booking ANOTHER meal? Thanks!! Sure. Try to grab the blue pass (Ask cast members when they’re distributed) and aim to stand on the bridge. Totally doable. As always, much appreciated!! Will you be in the parks that first week in Feb? We will be there the first week of February. Assuming, the crowds will be similar to this past week, do you think the Paint the Night package is necessary to secure a spot for the parade? I’m debating whether or not to just wing it and hope the crowds are light or play it safe and get a reservation for Aladdin’s Oasis. I think the crowds will still be light. But Aladdin’s is so budget friendly, that it’s an easy way to make your day less stressful. Either way, you should be ok.
Do they allow strollers in the Blue Bayou reserved area? Also, is it possible for one person to stake out a spot and have 2 others arrive later, or would it be hard to elbow your way through the crowd? No strollers in the restaurant. They’ll ask you to leave them outside. One person can save a spot in the viewing area. Everyone else will need to keep their entry tickets, though, to enter later. I meant, do they allow strollers in the PTN viewing area? Thanks! 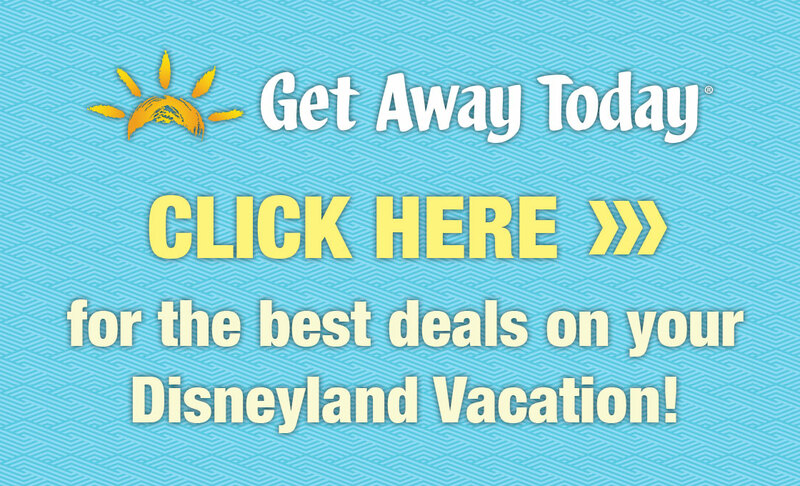 I’m going to Disneyland on Jan 11 – 12, 2016 and have found your website extremely helpful! I tried making a WOC dining reservation at Carthay Circle to kill two birds with one stone as suggested and get to watch the firework show followed by WOC there after… but the Firework show starts at 8:40pm on the 11th and World of Color starts at 8:15PM. Any suggestions on how I would be able to catch both? I love the idea of a dining reservation so that I don’t have to spend time hunting down a spot. It’s not always possible…..it has to line up with the schedule Disneyland provides. If it doesn’t work with the timing of your visit, I’m sorry. 🙁 I’ve walked quickly from WOC to the Disneyland fireworks, however. That is possible…..though not easy with a group of people. We will be visiting Disneyland for the first time at the beginning of August 2016. I heard Fantasmic may close temporarily in January for the construction of Star Wars land? Is this true, and if so do you know when it will start back up? And was wondering if its worth it then. i can imagine if they cannot see they will all lose interest and get very whiney at that time of the night. It can be frustrating if you don’t get the right viewing spot. If you do a dining meal that works with the WOC shows, as mentioned in this post, you’ll have a great viewing area. You can also achieve that with a FASTPASS that is free and is distributed near Grizzly River Run. Grab those in the morning. If you can ask a cast member when the blue section is being distributed (usually early) and get on the bridge, you’ll be in good shape. It’s likely closing for refurbishment on the days it’s showing that it’s not running because it typically goes down shortly after the holidays. Is the map that you put up that has been dated back to 11/2011 (for the world of color seating), is it the same as it would be present time? And how do you get the best seating? Hi Casey. We’re going on December 31 and want to see the Fantasmic Show. We are a party of eleven, including two toddlers and a 7 month pregnant mom. Does the Blue Bayou includes a chair or only the seat cushion to seat on the floor? Is the same area for all the restaurants? Last summer we bought the Aladdin Oasis ‘Fantasmic on the go’ and we coudn’t find good places, althought we were there 30 minutes before the show. Blue Bayou is the only option that includes a seat cushion and no chairs are available, actually. None of the other dining options offer a cushion at all or other accommodations. BB is your best option. I was wondering if you have heard about what the Blue Bayou will be doing once Fantasmic stops. I have never eaten there, and it’s definitely our plan to eat there on our January trip (Jan.14-19). And I know their Special Dining Events gets more bang for your buck! Either way we will be having dinner there! Thanks for any info you know! They should be operating as normal, but you bring up a good point. Perhaps they’ll provide another Special Dining Event to coordinate with the fireworks or parade? I’ll let you know if I learn anything! Great question. My daughter and I did the Carthay WOC package. The food was excellent, however when we got to the reserved area, my daughter couldn’t see much. There were too many people in front of us. I had no problem seeing the show but my daughter was not tall enough. Is there a spot that is elevated for shorter people or do we have to go there super early and hope to get in the rail or rope? Btw, the Blue Bayou Fantasmic was excellent! We thought the Carthay WOC would be similar (in terms of great viewing), but unfortunately not for the little ones. I totally agree with your comments and find this very frustrating. Fantasmic!/Blue Bayou is so awesome because you can sit. WOC is difficult to see at any space. Typically, World of Color/Carthay Circle includes the tiered section, which allows people to find space on the steps to see over others, but perhaps those spaces were filled? I don’t even take my 8 and 9 year old to WOC because I find the viewing so frustrating. I wish I had a better answer for you! If I find any tricks, I’ll post them within this post. Thank you! You’re helping me set up my whole trip step by step! 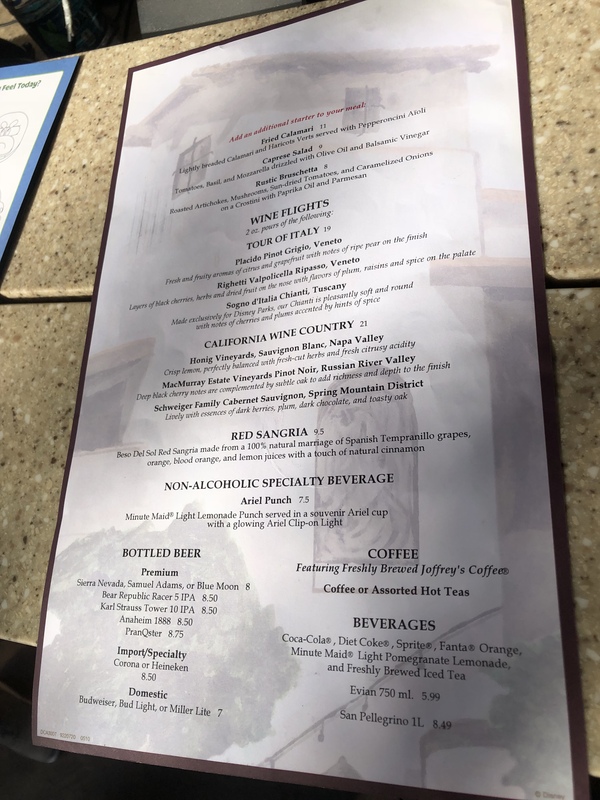 1) Is there a published menu for lunch at Carthay Circle? I am looking for vegetarian options. 2) At the Blue Bayou, are all of the tables inside the ride, or just some? Blue Bayou seating is all within the ride enclosure. It’s a really fun experience. Do you know what time World of Color show will be held in Dec? We will be at Disney Dec 7-11 and wonder what time to make dinner reservations at Cathay Circle.Can we still see fireworks over in Disneyland while having dinner? Do you know what the park(s) hours are then? I don’t have information on park hours or dining/fireworks. I recommend checking back often to see when hours are released and calling the dining line as soon as you’re eligible to make your reservation (60 days out). 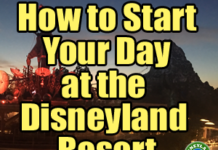 They should be able to tell you when you can dine and hopefully how to coordinate with the fireworks at Disneyland as I’ve detailed in this post. Schedule your WOC meal 1.5 hours prior to fireworks at Disneyland, but make sure that also works with the WOC timing so you don’t miss that show. Hi there, for a family with 2 adults and 2 kids (age 8), which restaurant (in either park) would you recommend? Just can’t decide, is the reserved viewing better for one show over the other? Thanks for your help! I recommend Blue Bayou for Fantasmic! The experience – both dining and the show – is so much fun and the viewing spot is the best possible between the two parks and two shows. You’ll receive a souvenir seat cushion to sit on, you are front center for Fantasmic! and then you can stay afterwards to watch the fireworks from where you sat for Fantasmic! Plus the restaurant is a Disneyland icon and housed in the Pirates of the Caribbean attraction, so you get to see the boats go by while you dine. Hope that helps! What time would you recommend I make dinner reservations for Blue Bayou on the first Saturday in December if I hope to secure a table by the water? You can reserve any time and still sit by the water. Here’s how to: Go by the restaurant about 30-45 minutes prior to whatever time you set your reservation for. Let them know you want a table by the water and they might push back your timing or tell you that you have to wait an additional 20 minutes or so past your time, but that’s just how the system works. Good luck! Thanks Casey! Your website and FB feed are a wealth of knowledge. Do they offer any allergy free options for the dining event packages? E.g., we have a dairy allergy – do they offer substitutes for mashed potatoes etc? Absolutely. Tell the servers wherever you dine what your allergy limits are and they will accommodate you well. Disney is known for taking good care of these situations. Hi, Megan. Hard to tell. Dining at DLR is quite different and sometimes, the 60 days out option is late, as you’ve seen. Your best bet is to keep calling each day until you are allowed to make your reservation. The dining dept will know the calendar and times/entertainment schedule before Disneyland publishes it on their website, so that will be your key – calling them to learn more. At Disneyland, you are allowed to make reservations at 60 days in advance – each day. So instead of being able to book ALL of your reservations in advance immediately at 180 days in advance as with WDW, you must do it a day at a time at 60 days at Disneyland. Exactly. And sometimes, some reservations are not even available 60 days out. DLR is a different experience. We’re super laid back. I know that’s difficult coming from the well oiled machine of WDW, but it’s how we roll. 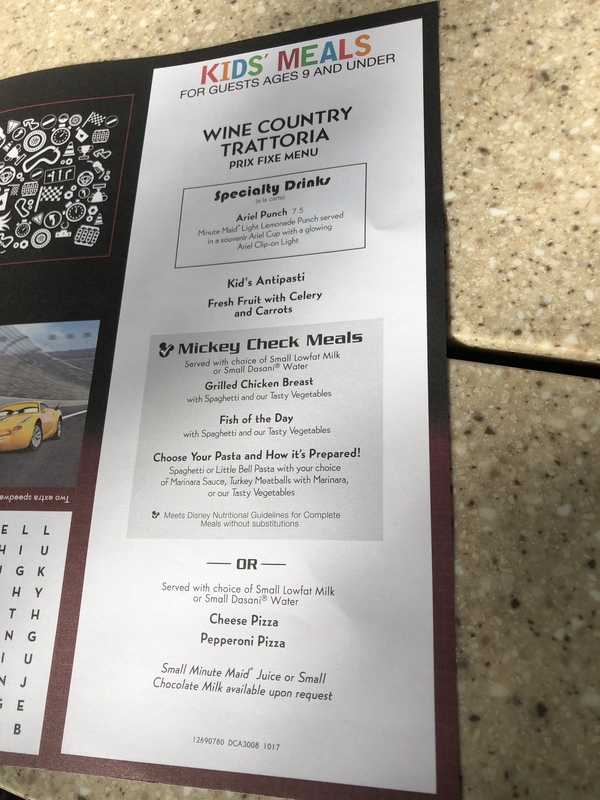 I’ve been looking everywhere for Wine Country Trattoria’s current WOC menu. Do you happen to have it or know where to find it? Trying to pick a place for dinner with several picky people so I have to have the menus up front. Jennifer, when are you visiting? Write me back and if I’m not too late, I can take a photo of the menu for you while I’m there next week. Will Blue Bayou still host the fantasmic dinners while Pirates of the Caribbean is under refurb? Check with dining officially to make sure, but I’m 99% positive they do. It’s not entirely the same experience, though. hi, just making sure I have this correct, we will be there Sept 28, 29, 30 I know the Halloween party will take place on the 28 and 29, does that mean there will be no fantasmic or world of color shows those days? Great post! I love the Carthay option. I didn’t know you could sit out on the balcony. Hey great post! We will be there on a Tuesday late September. How early should we pull a fast pass for World of Color and what is the best color to have if you don’t have a dining reservation? Also how do you check to see if there will be a WOC show during our vacation. How far in advance do they release the schedules for shows? We are going weekend before thanksgiving. Dining reservations are typically available 60 days out, however, sometimes that’s not even the case. I recommend calling the dining phone line on this page if you have questions or trying to reserve online if it allows. If you don’t make the progress that you want online, always call. They likely will have more information.